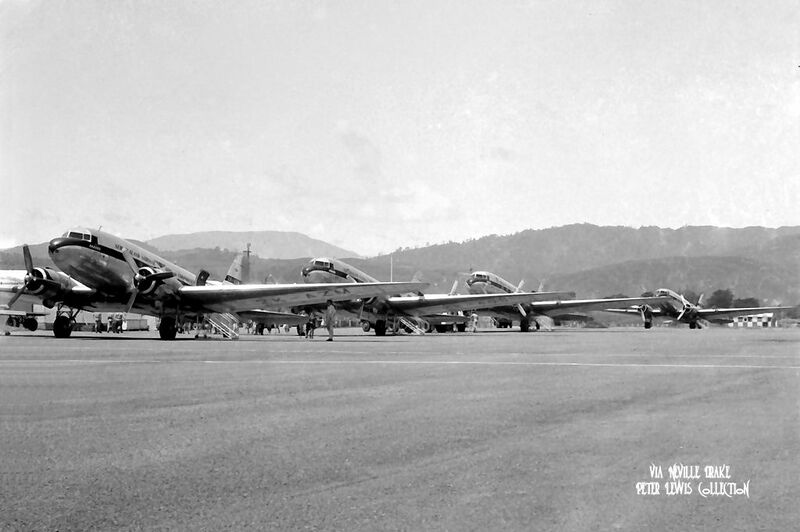 Next up was ZK-AYZ, which had served with the RNZAF as NZ3528 from December 1944. 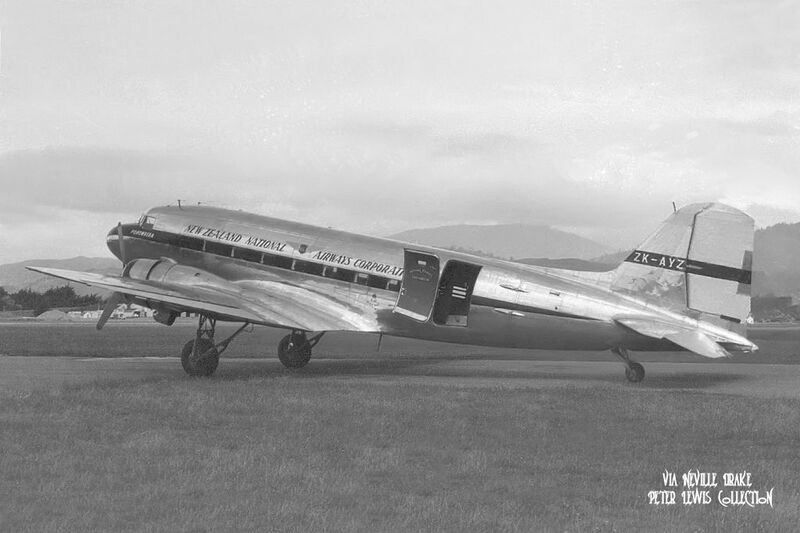 This aircraft was issued with its civil registration on 16Oct1951 and converted to DC-3C status at Palmerston North. ZK-AYZ came on line with NAC in December as Pohowhera (which is a misspelling of Pohowera). 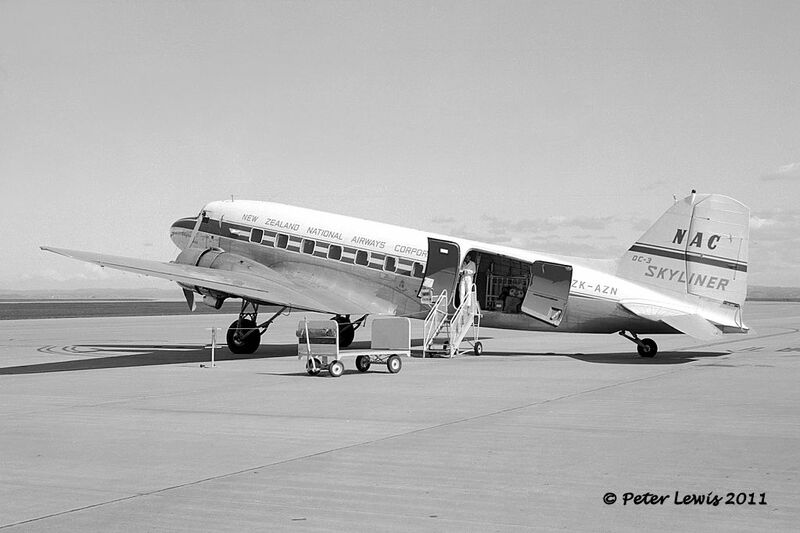 In March 1963, ZK-AYZ underwent conversion to Skyliner status at Christchurch and was renamed Hastings. PROBABLE CAUSE: "A strong downward current in the lee of the Kaimai Range close to the Gordon quarry. This downward current carried the aircraft below the level of the crests of the range, where under the conditions prevailing at the time, the aircraft encountered an area of extreme turbulence in which it was impossible for the pilot to regain effective control and recover height. 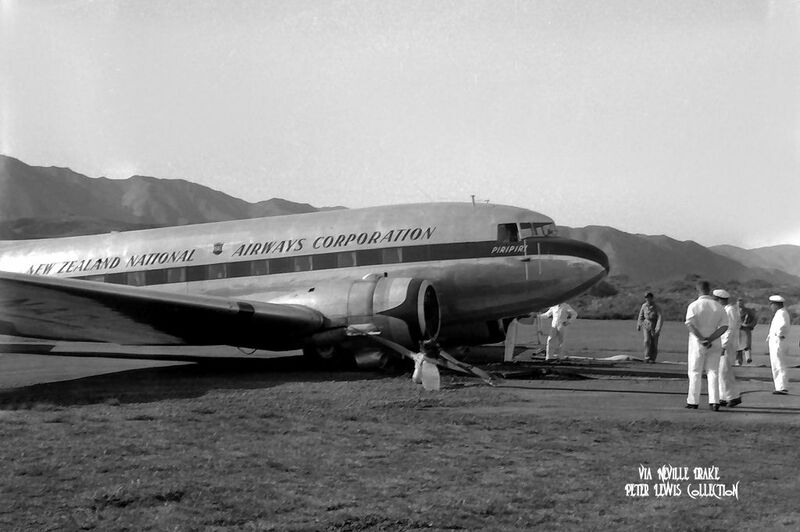 Contributory causes: a) The captain of the aircraft was unaware of his true position and initiated a premature descent. However, it must be appreciated that he decided to descend only to the level officially designated as the minimum safe altitude in the area of his descent. 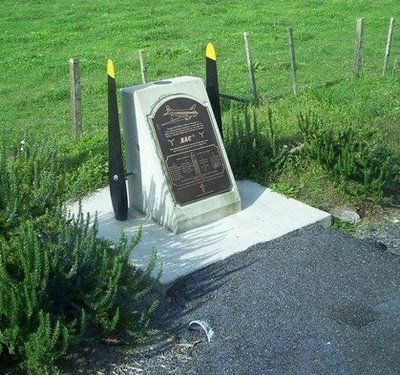 b) The decision of the Civil Aviation authorities to classify the Kaimai Range as non-mountainous terrain for the purpose of determining the safe altitude for the route. 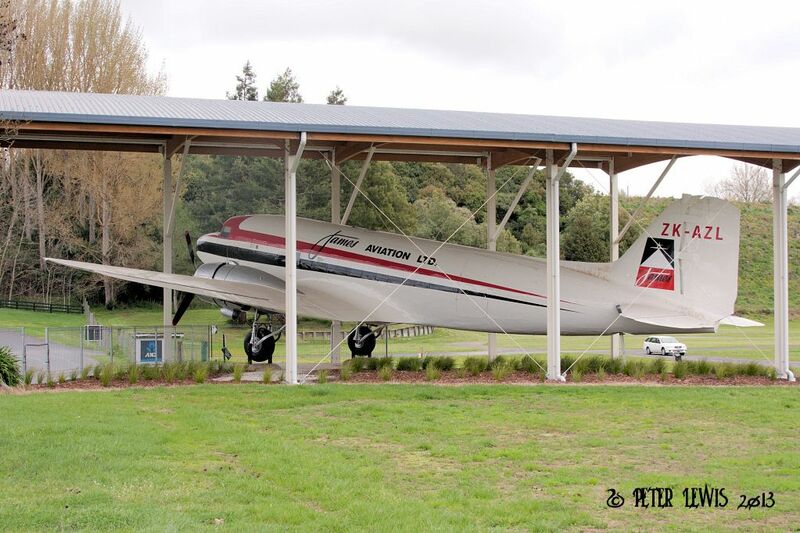 c) The misleading forecast of the upper wind between Whenuapai and Tauranga." Despite attempts to blast the surrounding terrain, parts of the wreckage are still visible on the site. Two memorials have been erected. 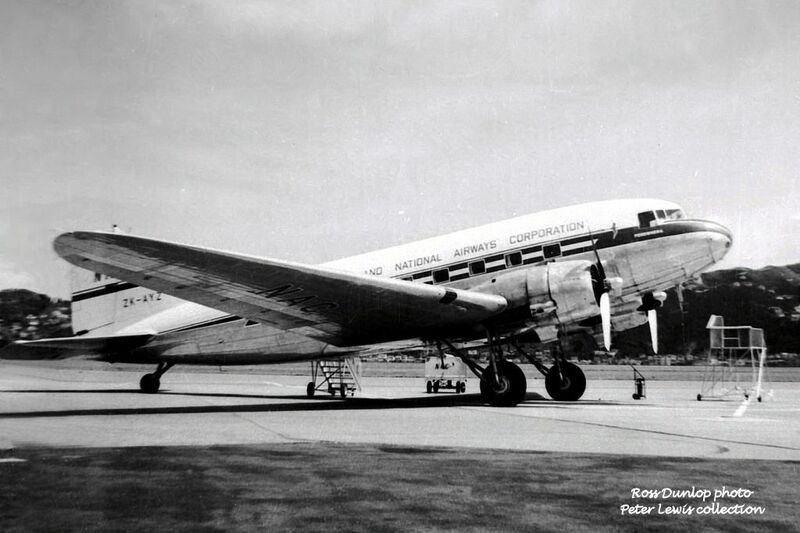 C-47B-20-DK NZ3531 served from February 1945 until transferred to NAC in September 1951. 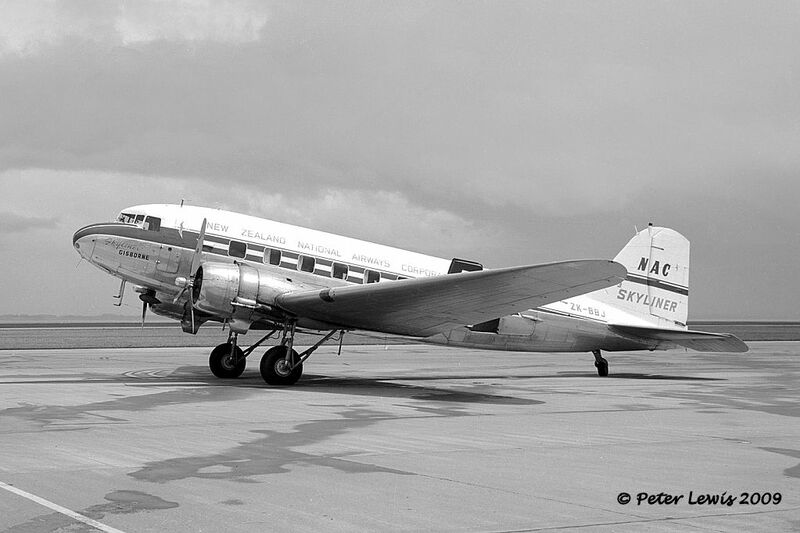 Registration ZK-AZA was issued on 16Oct1951, and the aircraft was fitted out to DC-3C standards at Palmerston North before entering NAC service in August 1952 named Parera. It would seem that ZK-AZA was not repainted into the NAC white-top livery. 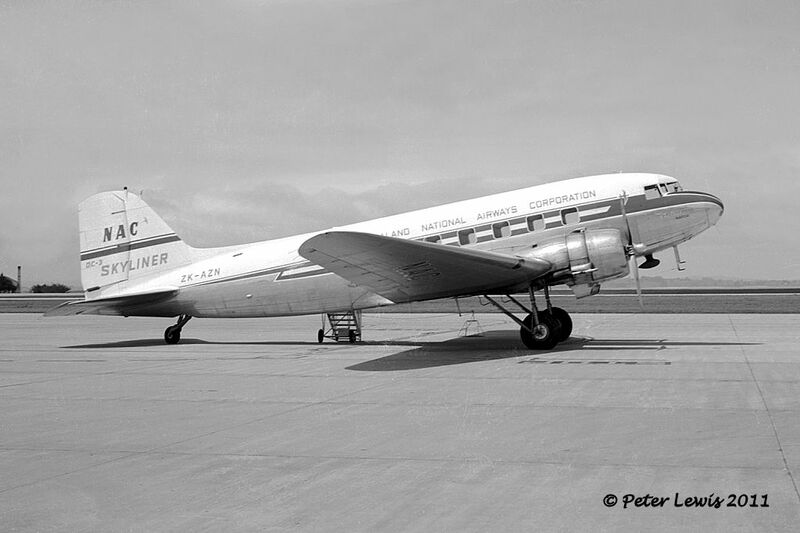 After some years of line operation, ZK-AZA was upgraded to Skyliner status at Christchurch in September 1963 and renamed Rotorua. Skyliner ZK-AZA at Whenuapai 23Aug1964 with furry friend (the famous Whenuapai cat). 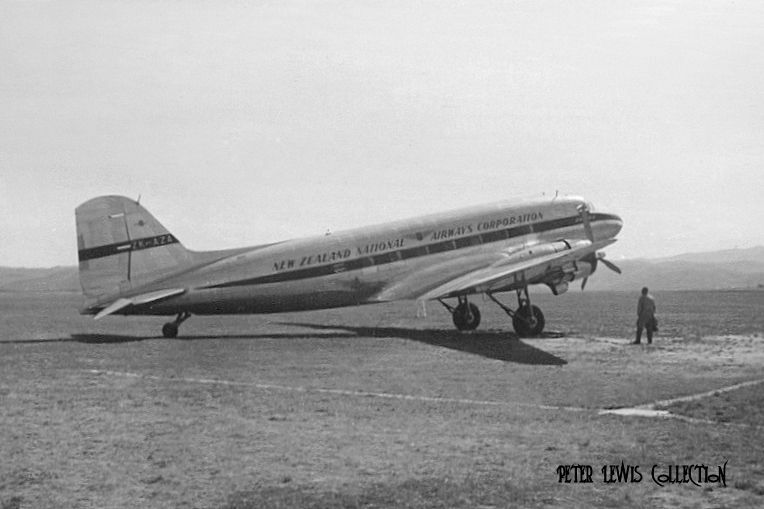 This DC-3 was leased to Fiji Airways Ltd. from July 1969 and re-registered VQ-FBF with them, later changed to DQ-FBF and operated by Air Pacific Ltd October - December 1972. 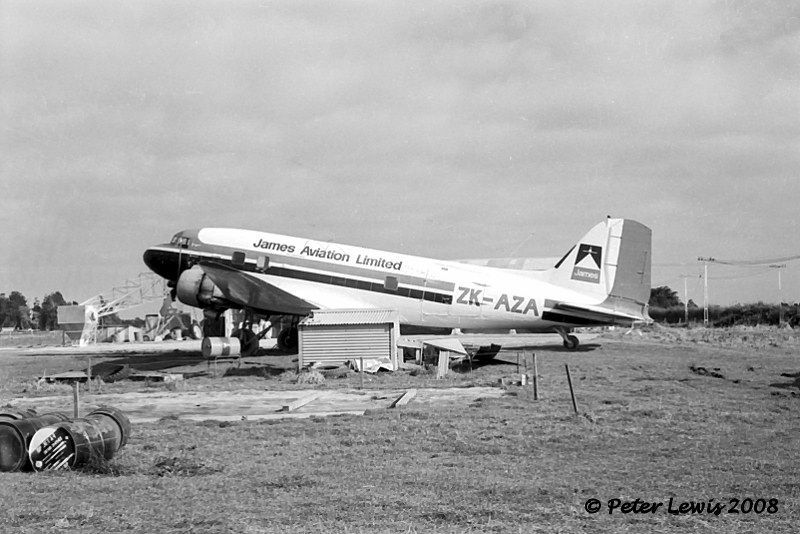 Returned to NAC as ZK-AZA from 14Dec1972, the aircraft was sold to James Aviation Ltd., Hamilton. 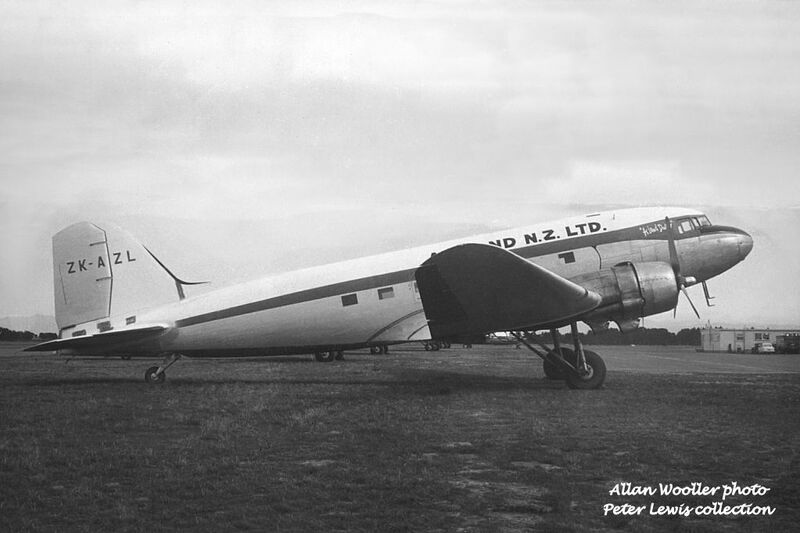 Converted to an agricultural machine in March 1973, this DC-3 operated from many North Island airfields over the next few years. 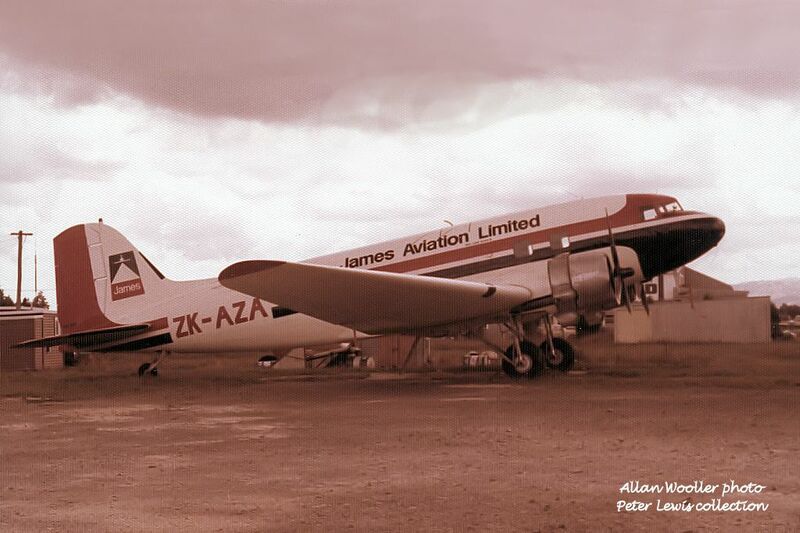 With the winding down of both James Aviation and the AgDak fleet, ZK-AZA was withdrawn from use on 1Oct1979, and sat at Ardmore for some years. An attempt to scrap the aircraft in 1983 was thwarted, and ownership was transferred to Dwen Airmotive Ltd. of Ardmore on 27Jul1983. 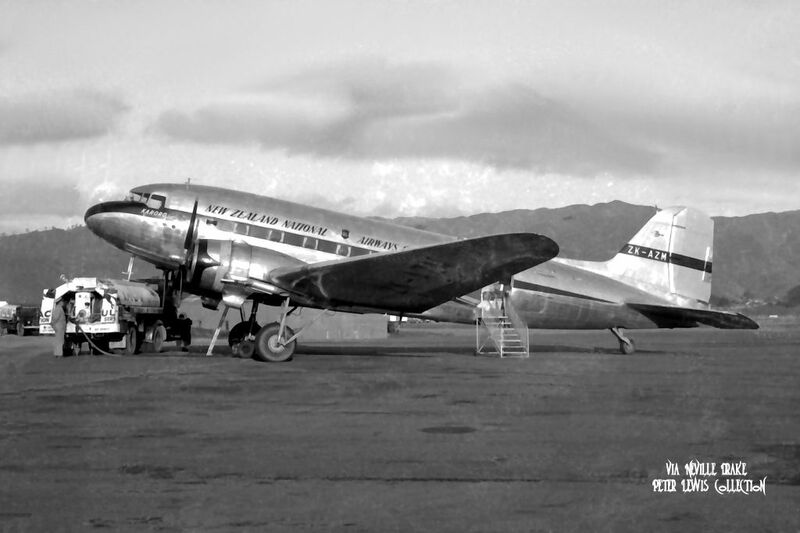 The following month the front fuselage, center wing section & engines were removed and shipped to Aitutaki in the Cook Islands for use as a wind machine to simulate a hurricane in the film "The Silent One", which was made there and released 1984. Great to see the photo's of AZA. I was lucky enough to spend a couple of hours in the right seat with Bill Peterson out of Whakatane as he topdressed around the Ohiwa Harbour. 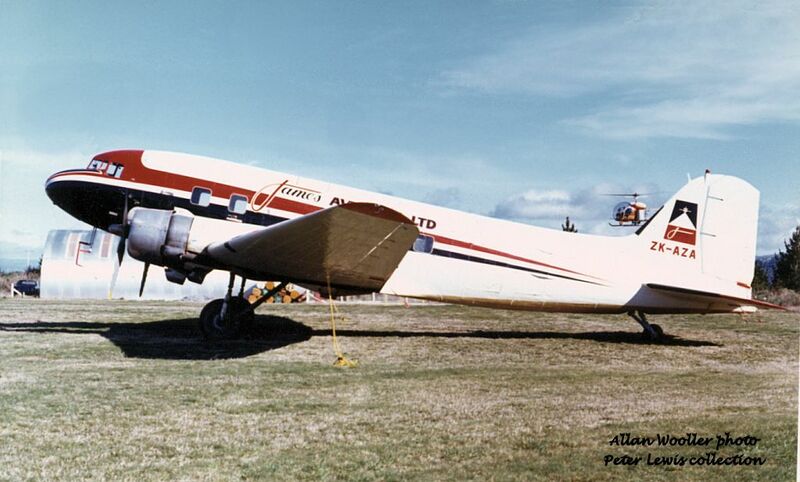 The first shot of AZA as an Ag-Dak at Taupo also brings back memories - the Bell 47G behind looks to be in early HNZ colours? 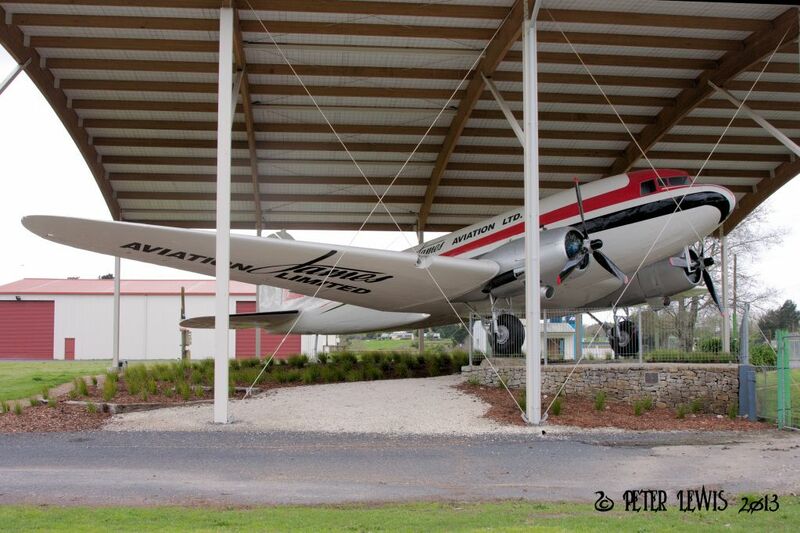 Must have been a real blast flying a DC-3 down among the paspalum-heads. 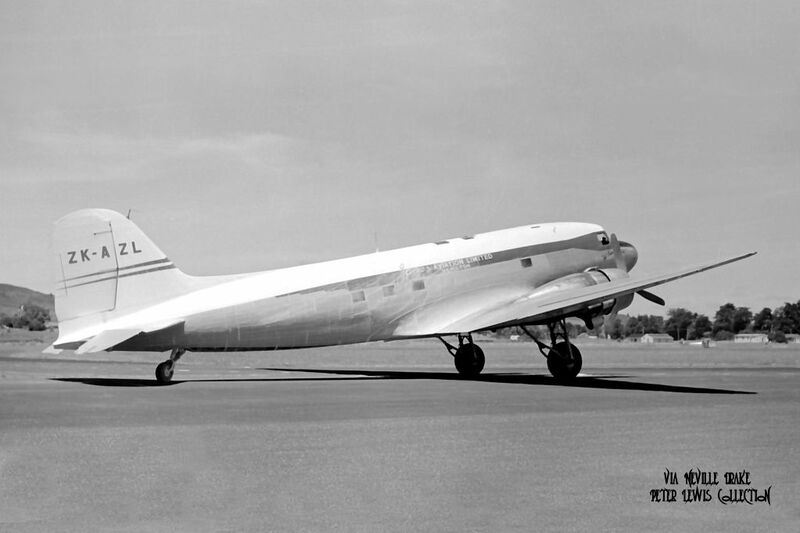 NZ3545 had served with the RNZAF from June 1945 as a C-47B-35-DK. 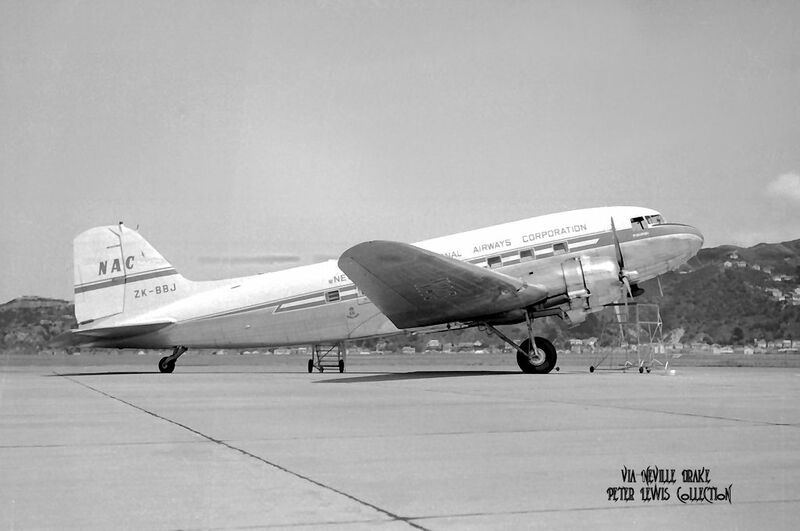 This aircraft was issued to NAC in April 1953, and was allotted the civil registration ZK-AZL on 14Apr1953 and the name Kuaka. 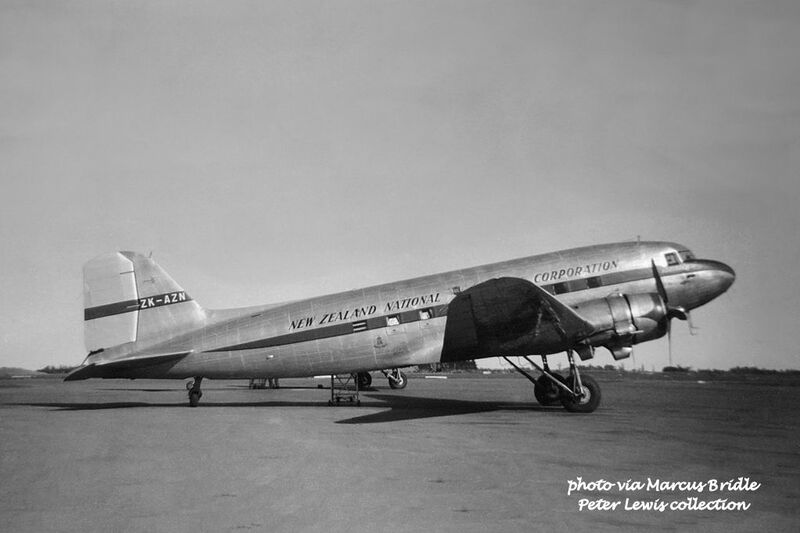 At this time, plans for the 1953 Royal Visit were being drawn up, and these included the provision of a C-47 to be used as a backup and baggage aircraft. 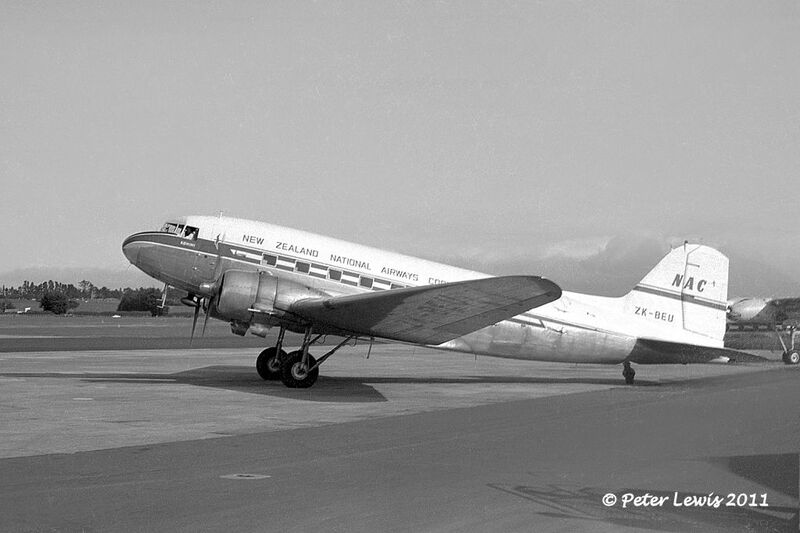 Consequentially, ZK-AZL was returned to the RNZAF before any conversion work took place and resumed its serial of NZ3545. 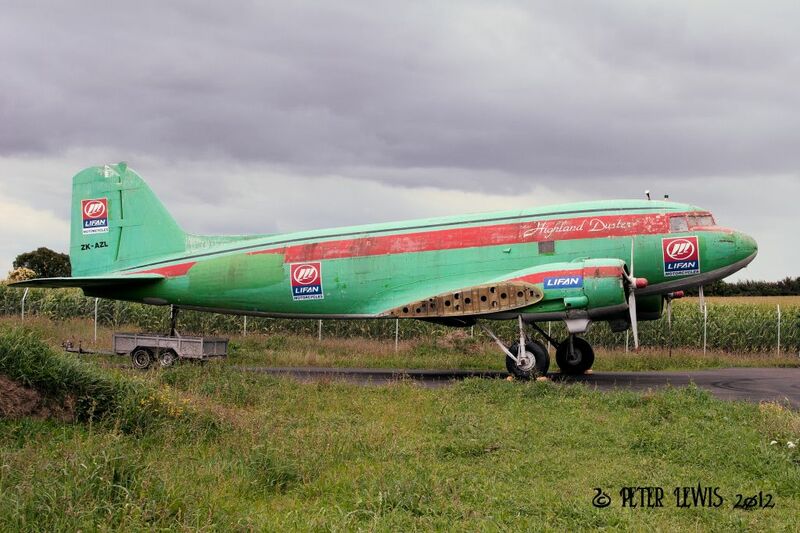 In the meantime, Ozzie James had been petitioning the Government for access to a DC-3 to try out his heavy topdressing aircraft ideas. 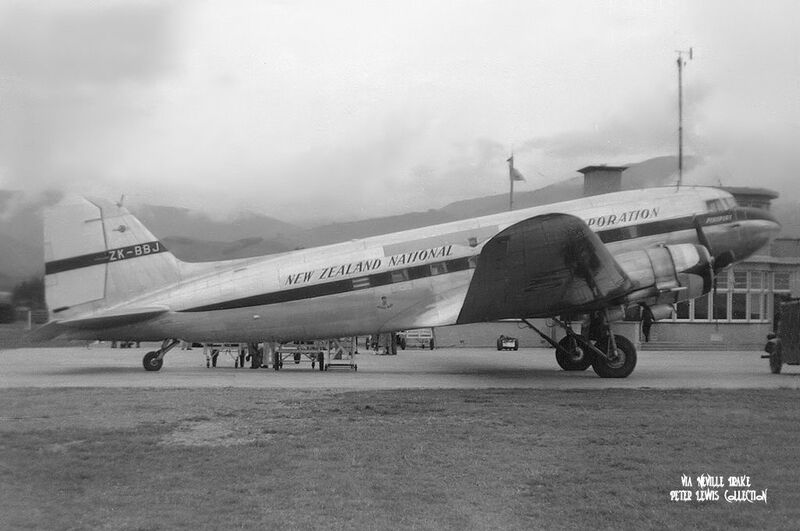 Consequentially, at the conclusion of its Royal duties, NZ3545 was issued to James Aviation in May1954 having already clocked up 4081hrs. 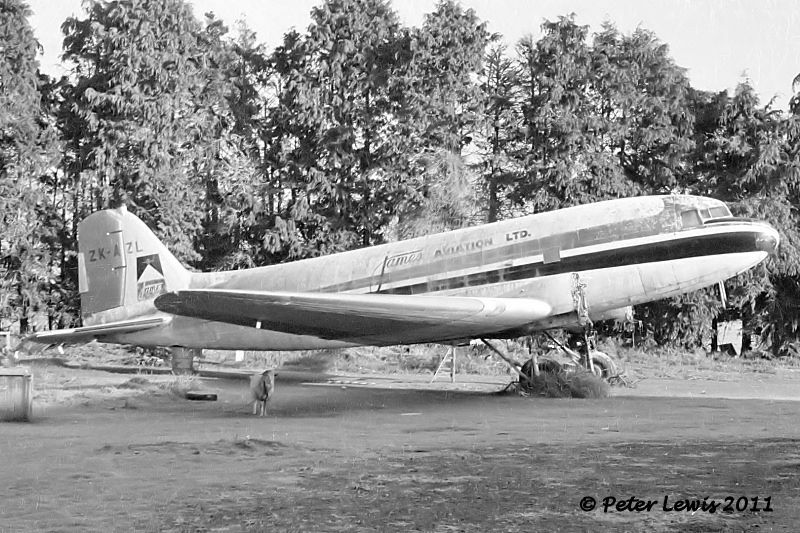 Registered again as ZK-AZL it was converted by NAC to a topdressing configuration. 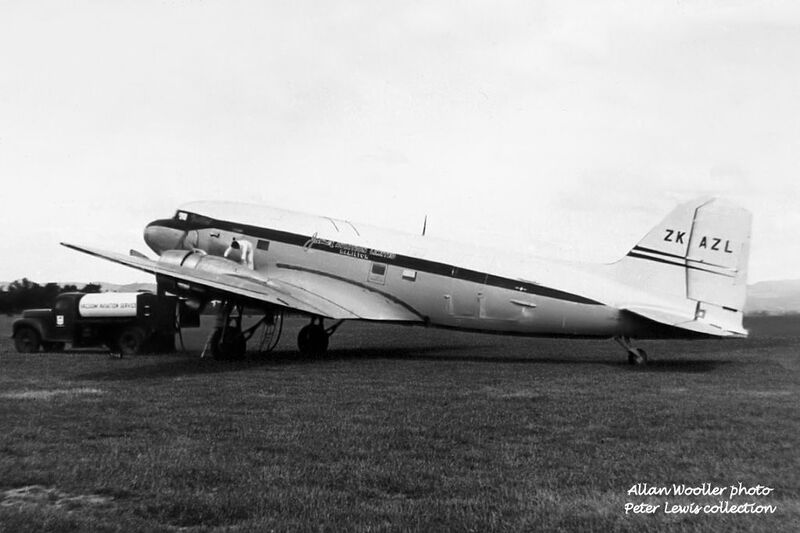 After a considerable period of trials, commercial operation of this aircraft commenced on 3Dec1955. ZK-AZL in early JAL colours, presumably just an overpaint of its military colour scheme. The name 'HiLand Duster' has already been applied. 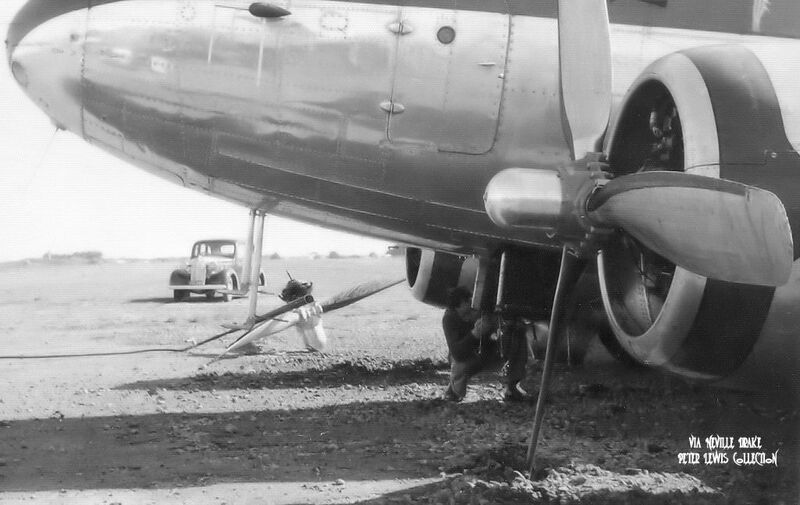 ZK-AZL was the first DC-3 to be used in agricultural work. 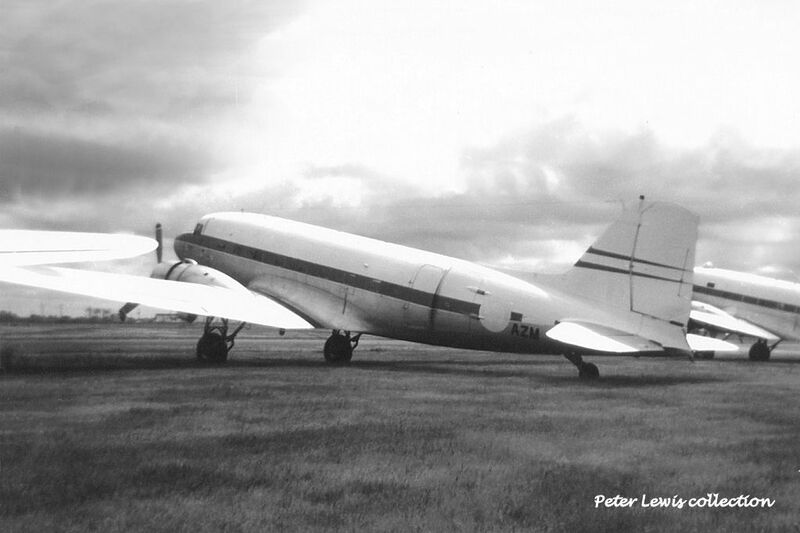 A number of others followed in New Zealand, and I understand that one further DC-3 was later used in this type of work in Iceland. 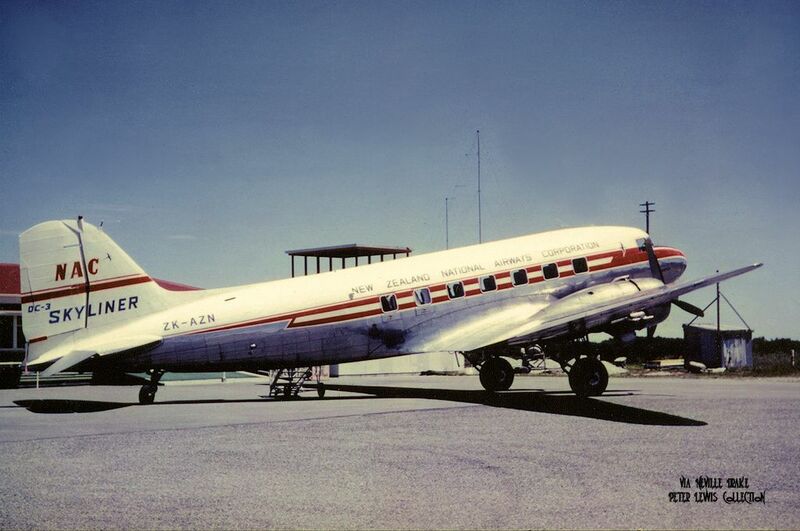 When the Airland consortium was formed in 1961, James Aviation lent ZK-AZL to that company. ZK-AZL was eventually withdrawn from service on 4Sep74 at Rukuhia @ 14040hrs. The registration was cancelled on 6Jun1984. Presented to Agricultural Heritage Museum, Mystery Creek, Hamilton, it sat on outside display there for many years in advertisers colours, with the inevitable degradation. 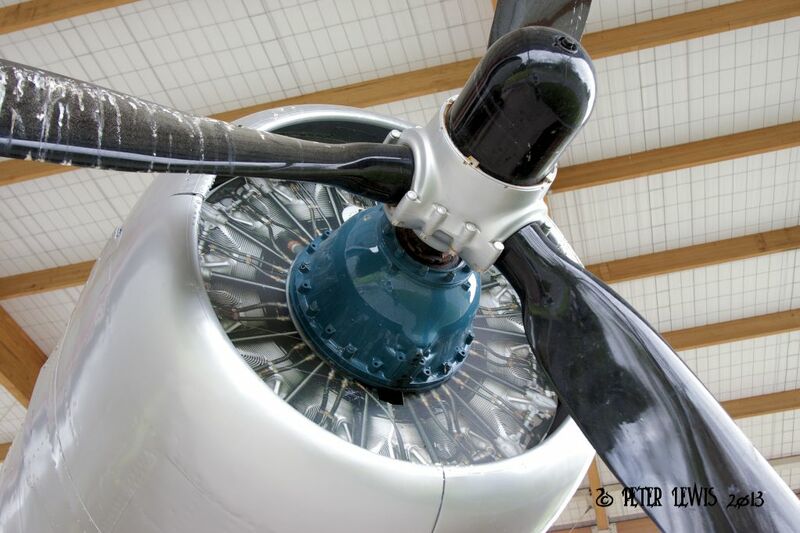 During 2012 a project was undertaken to restore the aircraft to a presentable state and move it under cover. 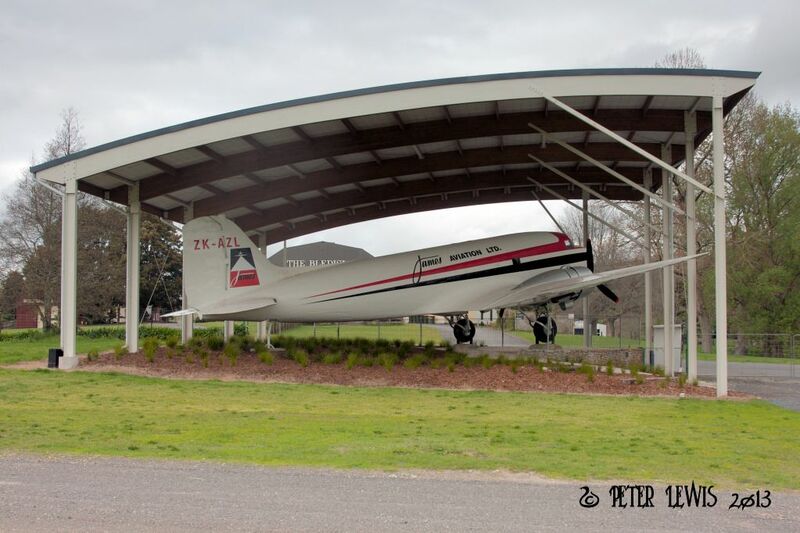 On completion of the work ZK-AZL was relocated back to Mystery Creek under cover looking good and again wearing James Aviation livery in September 2012. No engines are fitted, but photographic representations fill the void. A really good effort by all of those involved. 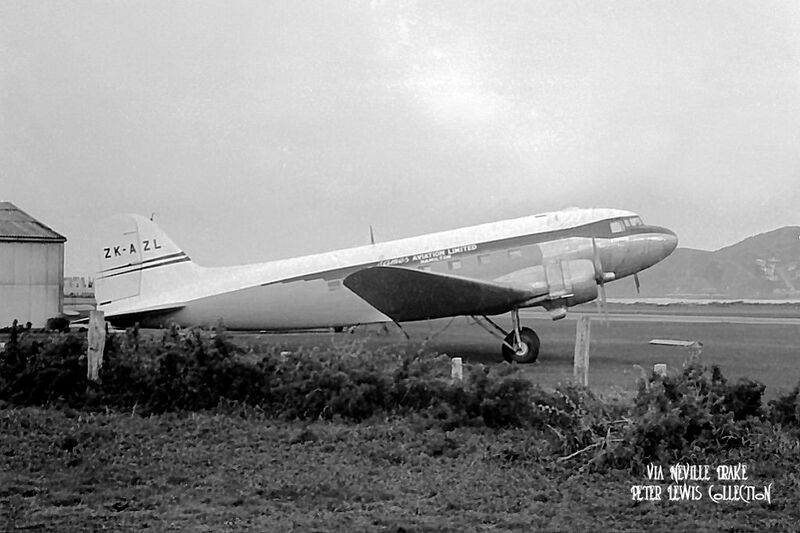 C-47B-35-DK NZ3547NZAF from July 1945 to March 1953. 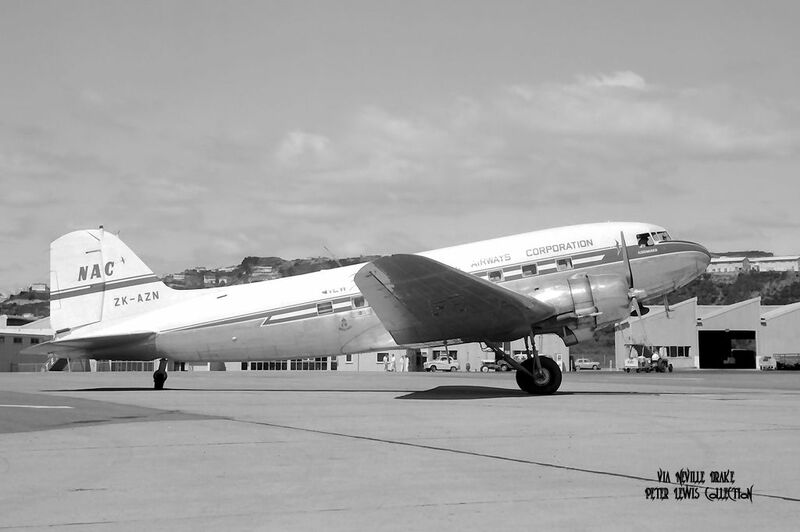 Transferred to NAC, the registration ZK-AZM was issued on 1Apr1953 and the aircraft was converted to passenger configuration as a DC-3C at Palmerston North, entering line service in August as Karoro. 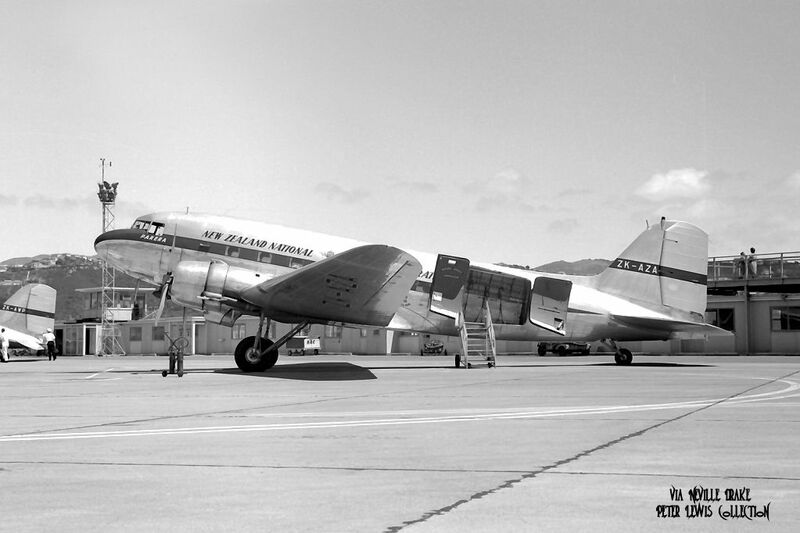 With the entry into service of the NAC Friendships, ZK-AZM was modified into a freight-carrying role at Rongotai in late 1961. 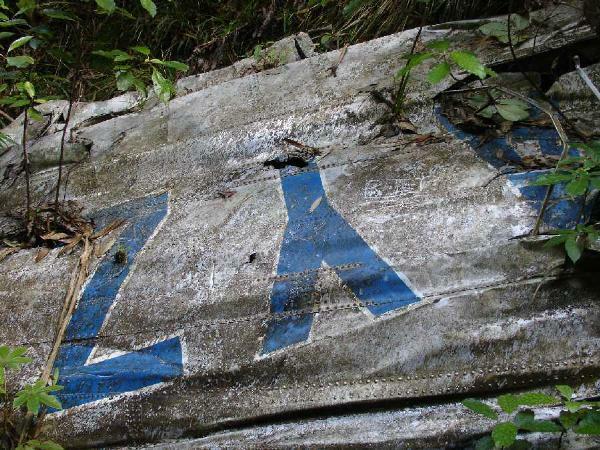 Withdrawn from airline service on 1Jul1966, ZK-AZM had 24198hrs logged to date. Returned to the military, it resumed its former serial of NZ3547 and served with 42Sdn in a paratroop dropping role from 15Oct1966 until 20May1977. 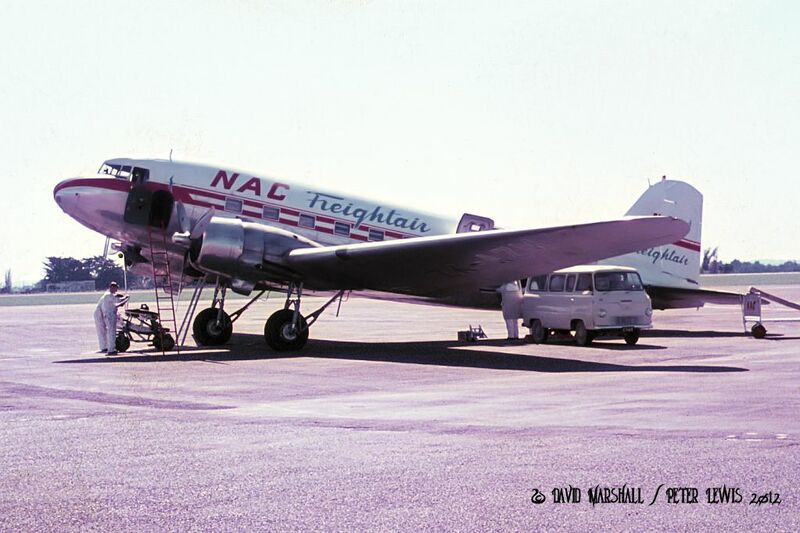 The aircraft was sold by tender to K B Neely of Christchurch in December 1978 and resumed its previous identity of ZK-AZM on the 6th of that month. 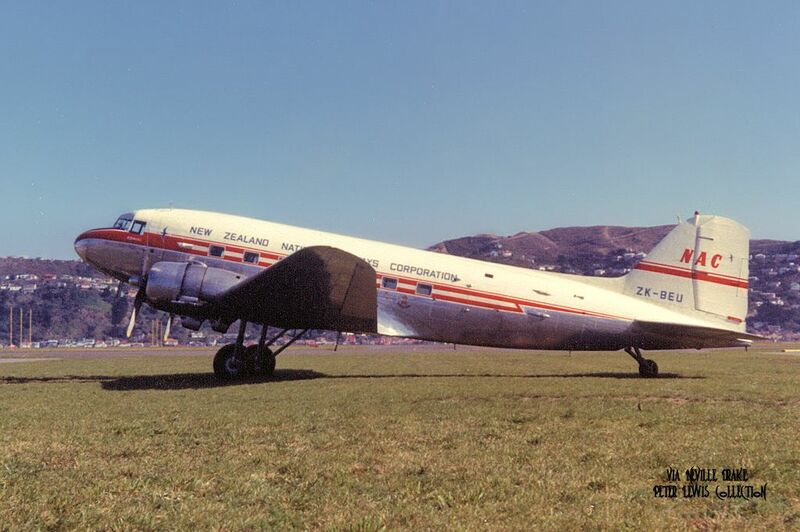 After the export embargo was lifted, ZK-AZM departed New Zealand on 17Dec1980 for Singapore and the NZ registration was cancelled on the 19th. 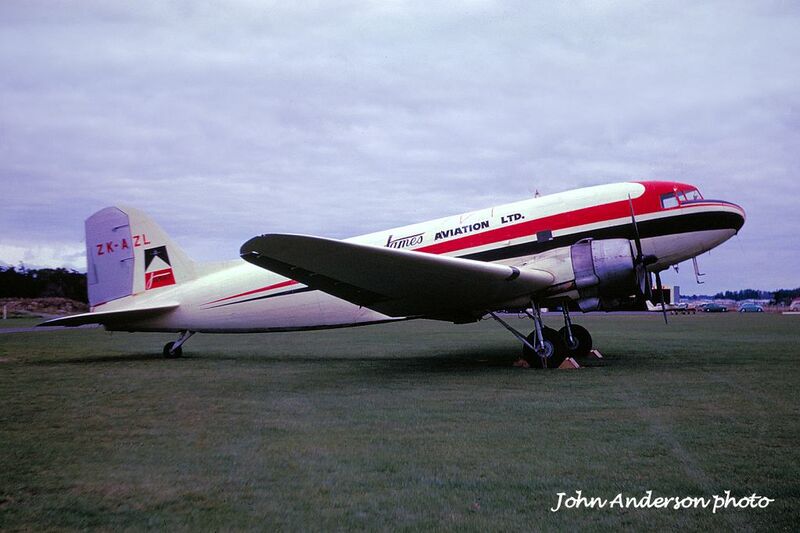 The aircraft became D6-CAD on 1Jan1981 with Island Associates Ltd., London and was short-leased to Air Comores, Moroni. 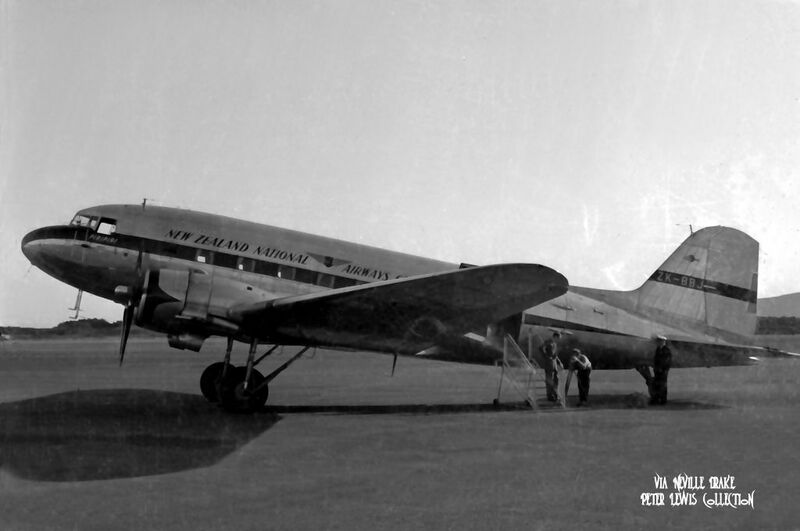 It soon appeared in South Africa, and became 6865 (second issue) with the SAAF. 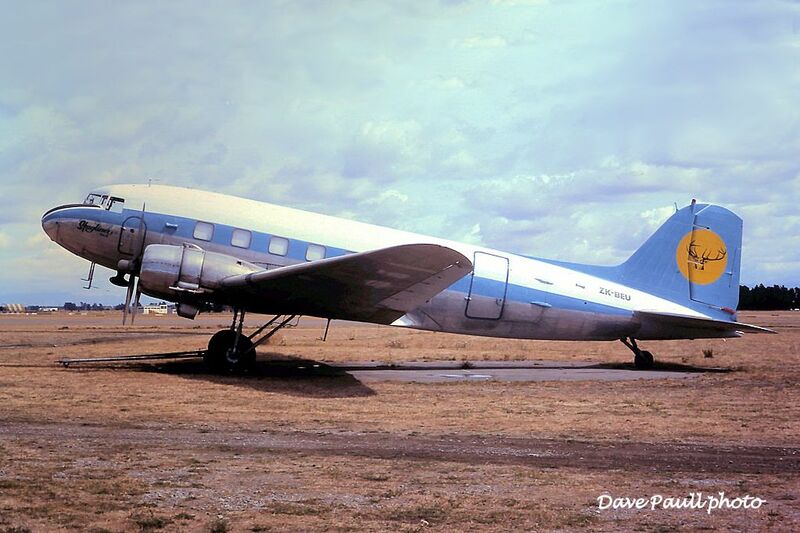 A proposed conversion to turbine C-47TP standard apparently did not proceed and, although a sale to Dodson Aviation Inc., Ottawa, KS with the identity N8190X was logged on 14Aug1998 the aircraft remained in South Africa. Long term storage at Wonderboom terminated when the airframe was moved to further storage at Freeway Airport, Hammanskraal, North of Pretoria about 2009. Peter, ZK-AZL is already under cover, the roof went up in April or May. 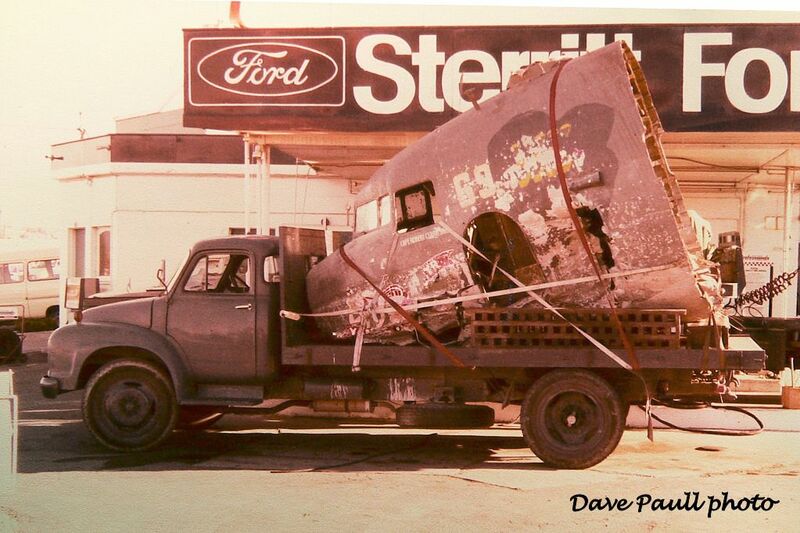 The next major step is to strip the paint and repair structure, and then repaint it. Then the walls will be added to the building. 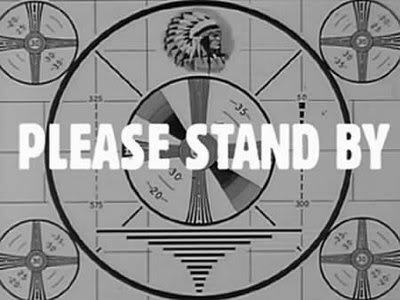 It's an exciting project ticking away. Good to hear that sort of progress Dave. I put the link in to give the Trust a bit more publicity. Interesting to note that the aircraft is parked in this shot in exactly the same location as it was when doing "ParaDak" duties at WP. 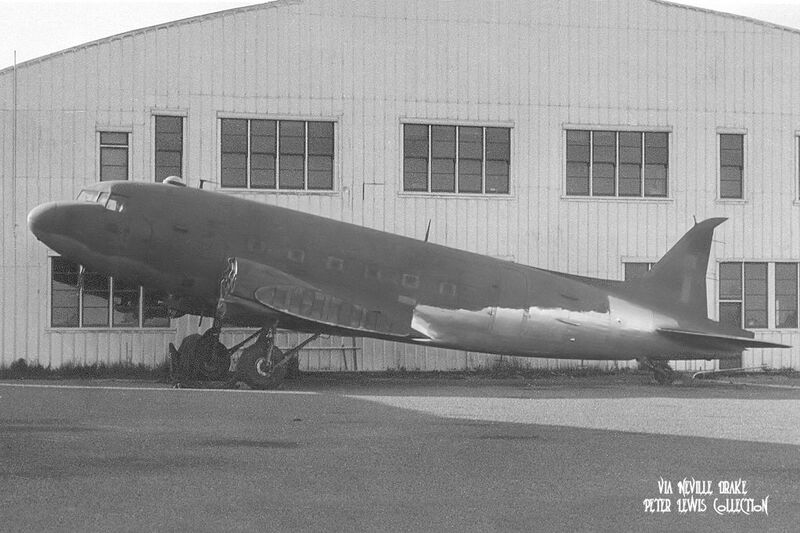 PTSU was located in No 4 Hangar immediately behind AZM's tail. If you looked behind you, you'd now see the small white building where the PTSU is currently located. They're now using Islanders hired from the Mountain Air Great Barrier fleet! 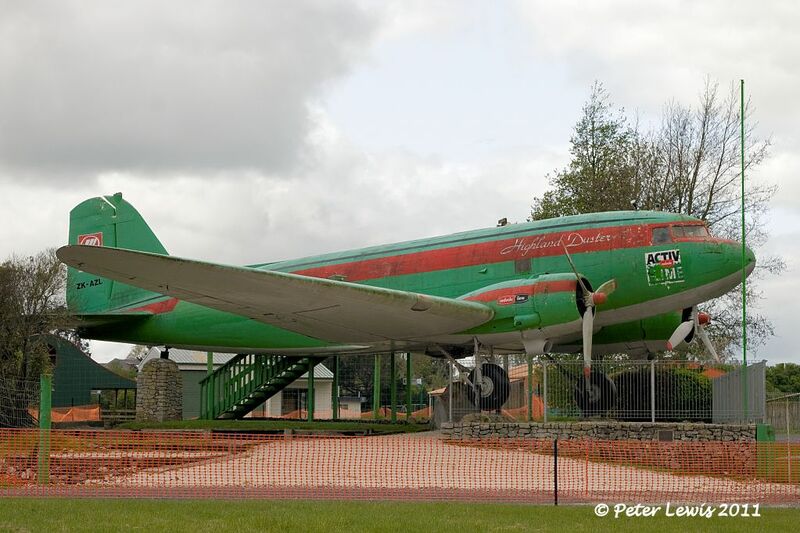 NZ3550 was a C-47B-35-DK that started military service with the RNZAF on 13Jul1945 and was retired in February 1953. 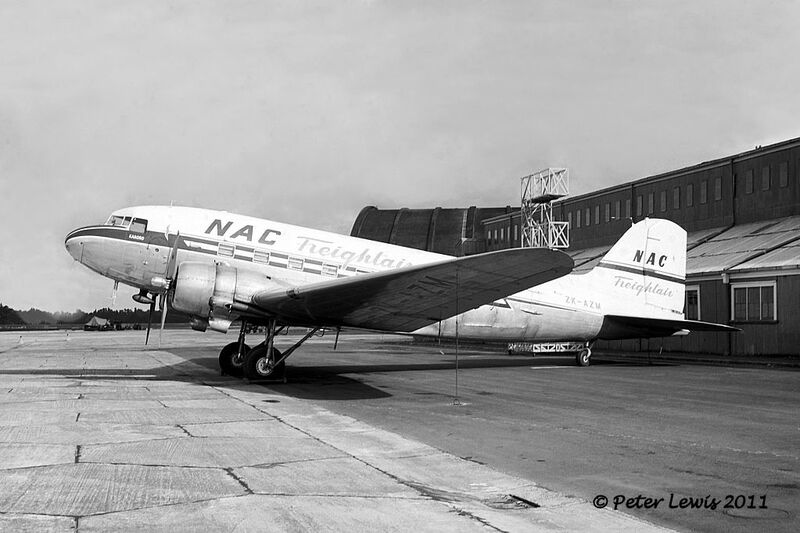 Transferred to NAC, it became ZK-AZN on 1April1953. 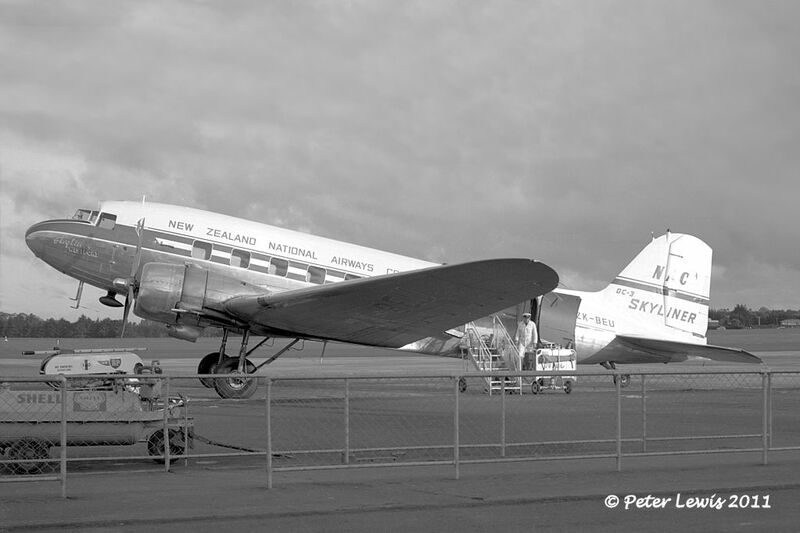 Converted to DC-3C standard at Palmerston North, ZK-AZN came on-line in October as Koromiko. 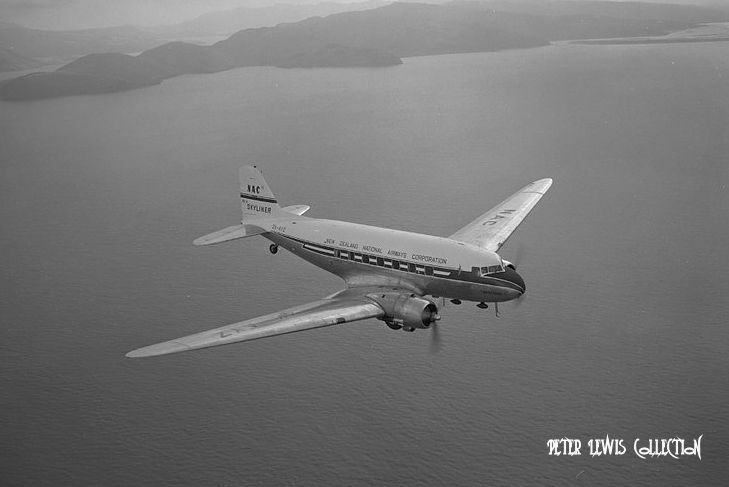 When South Pacific Airlines of New Zealand started operations with their DC-3 'Viewmaster' aircraft, NAC was stung into an upgrade of their own DC-3 passenger fleet. This upgrade comprised larger windows, improved air-conditioning. 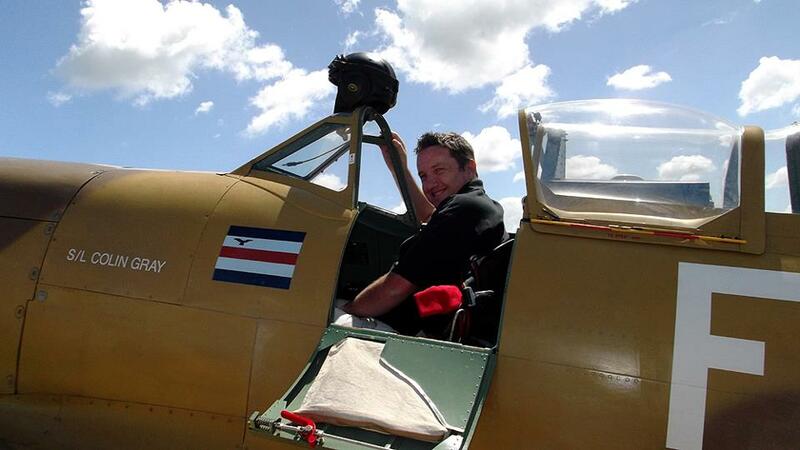 refurbished interiors, new external paint schemes and renaming the aircraft. 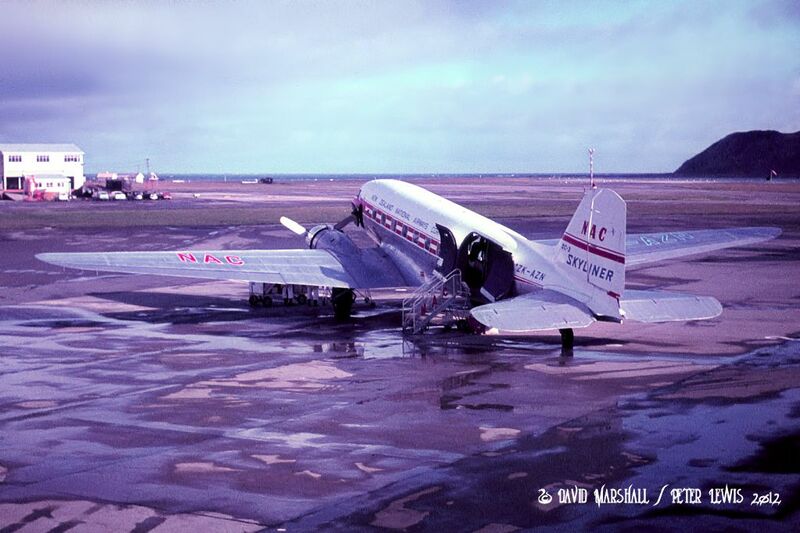 ZK-AZN was the first NAC DC-3 to undergo this work, and emerged from the Christchurch workshops on 3Mar1963 carrying the Skyliner name Napier. 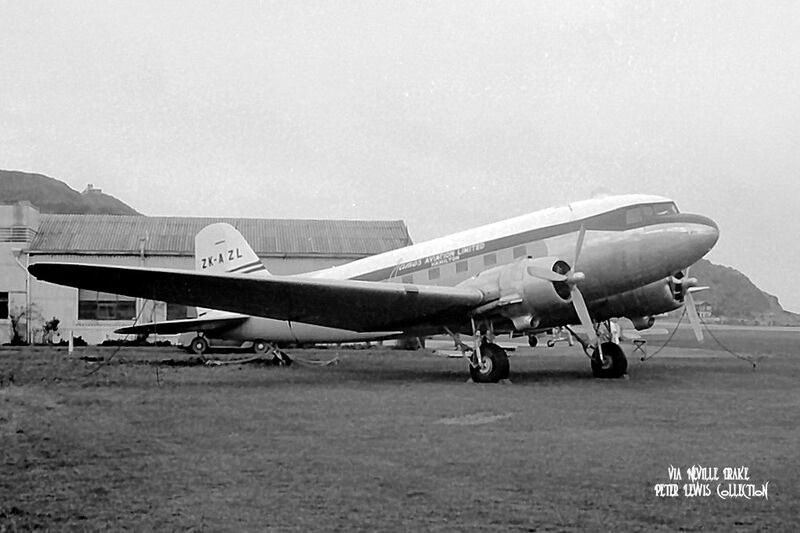 ZK-AZN was withdrawn from NAC service on 8Feb1969. 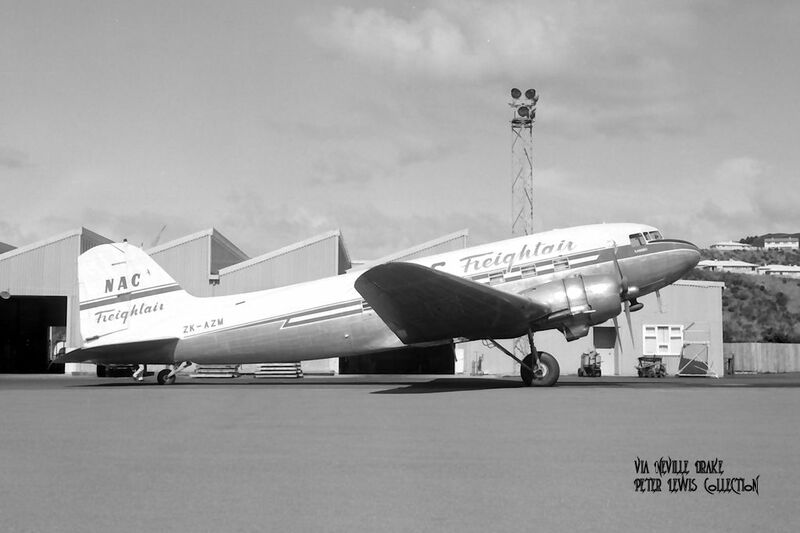 After a period in storage at Christchurch it was sold to Royal Air Lao and departed New Zealand on 10Jan1970, becoming XW-TDR on the 16th. The New Zealand registration was cancelled on the 17th. 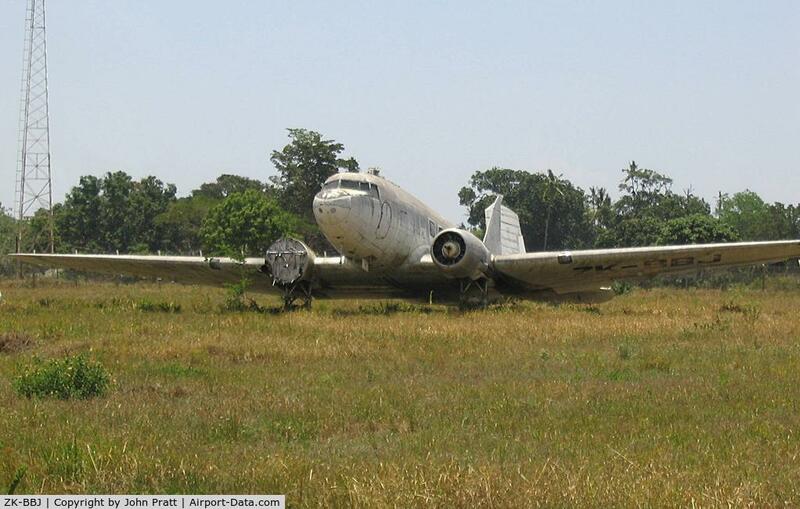 On 24Mar1976 Douglas C-47A XW-TAF and C-47Bs XW-TDF and XW-TDR of Royal Air Lao were damaged beyond economic repair in a storm at Wattay International Airport, Vientiane. 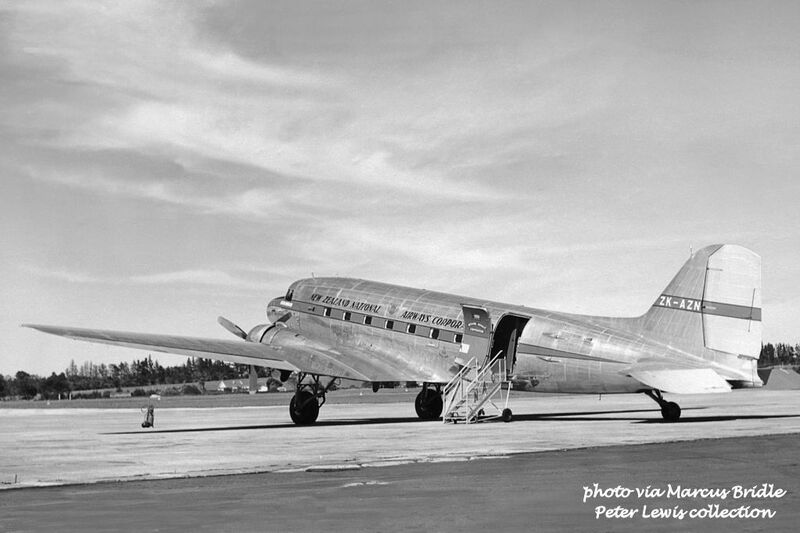 NZ3552 was a C-47B-45-DK that saw RNZAF service from August 1945. 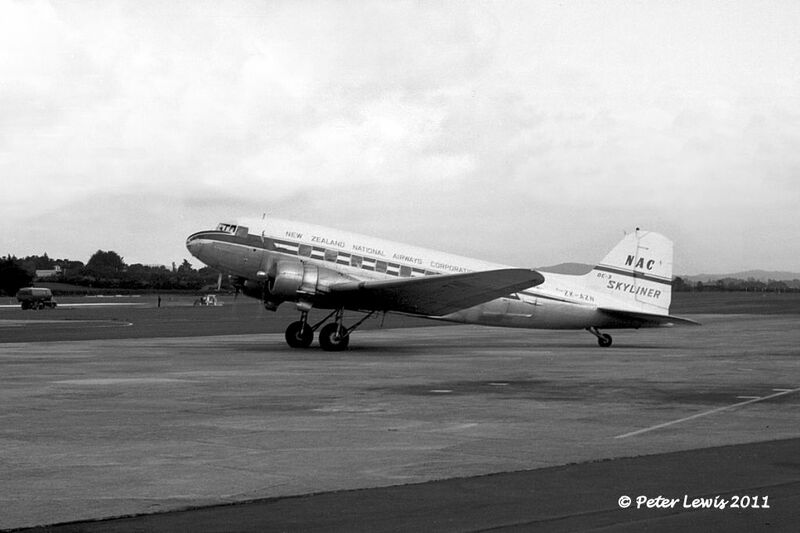 Transferred to NAC in July 1952, it had flown 3288hrs at that time. 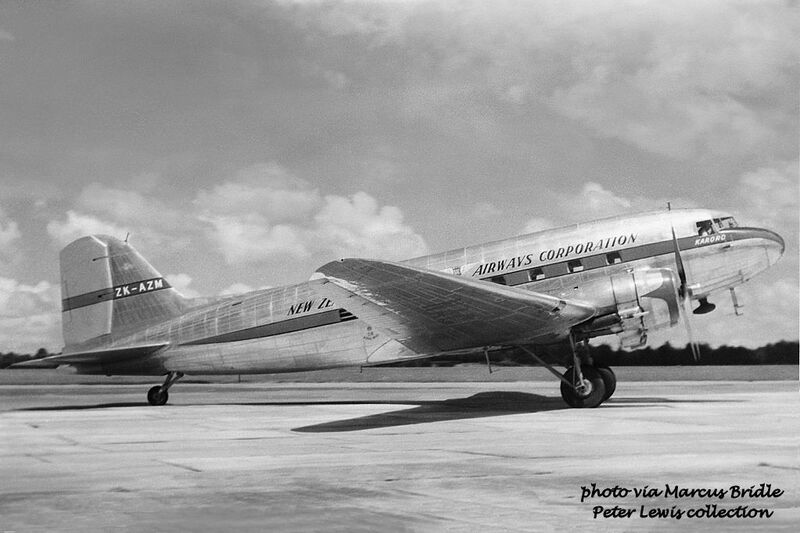 Slowly upgraded to DC-3C standards at Palmerston North, it came on line as ZK-BBJ Piripiri in June 1953. 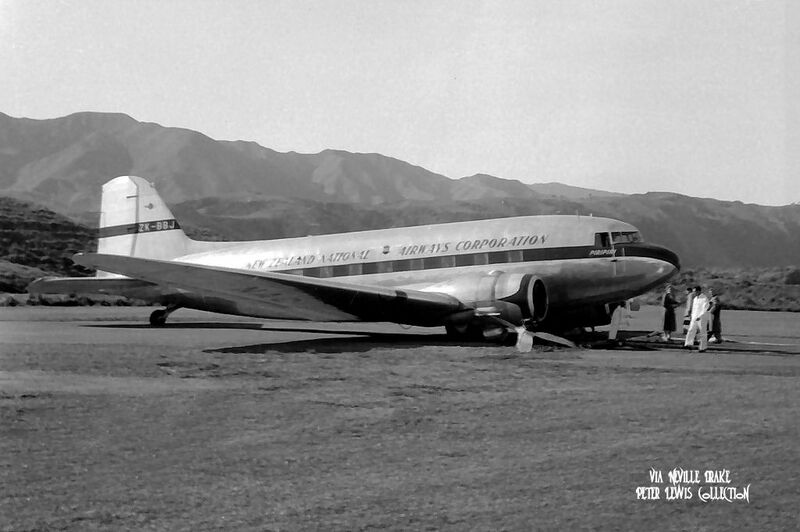 In October 1954 ZK-BBJ had a wheels-up at Paraparaumu. There appears to be little damage evident to the propellors, so it seems unlikely that the engines were running at the time of the incident. I can't find any reports on the event. 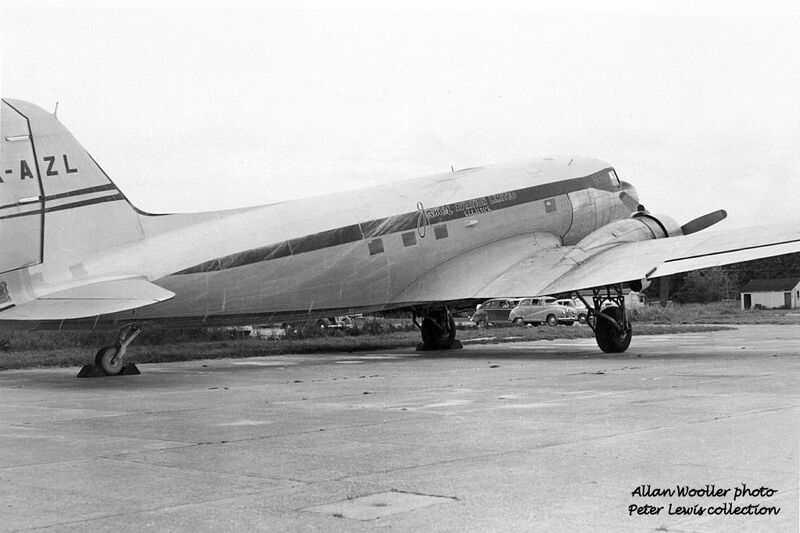 It looks like it may have been an inadvertent undercarriage retraction while the aircraft was parked, but any further information would be welcome. 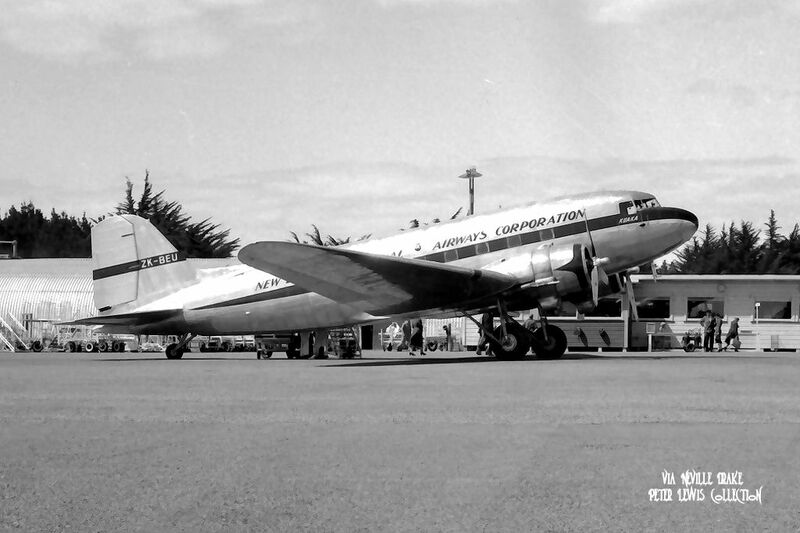 In 1964 ZK-BBJ entered the Corporation's Christchurch workshops, to emerge in March as Skyliner Gisborne. 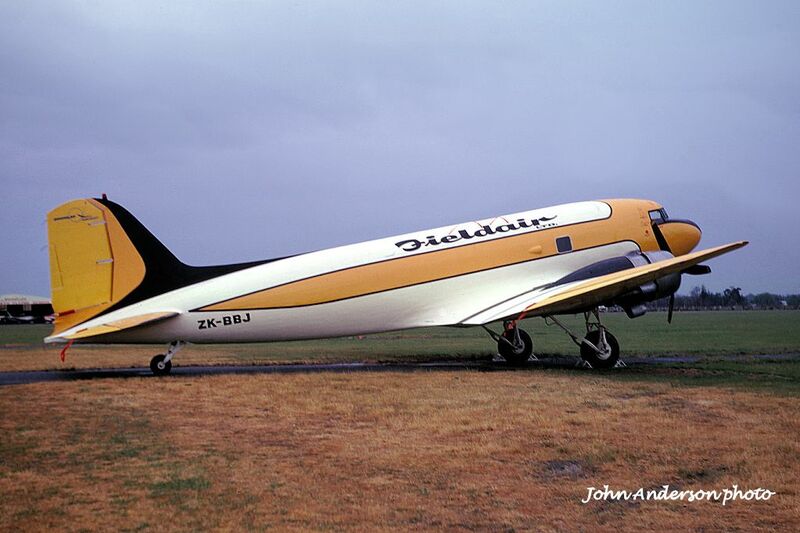 Returning to NAC at Christchurch (hopefully with the interior thoroughly cleaned) ZK-BBJ was bought by Fieldair Ltd., Gisborne, converted to agricultural configuration, and transferred into their name on 29May1972. 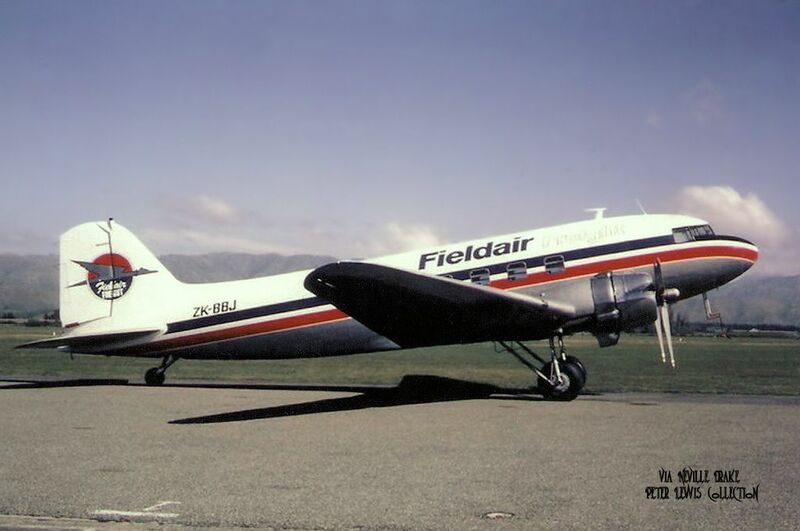 The aircraft moved through various Fieldair company changes, becoming registered to Fieldair Holdings (Central) Ltd., Palmerston North on 18Nov1980 and to Fieldair Holdings Ltd., Palmerston North on 30Mar1984 but was stored for the period Oct1979-7Dec1984. 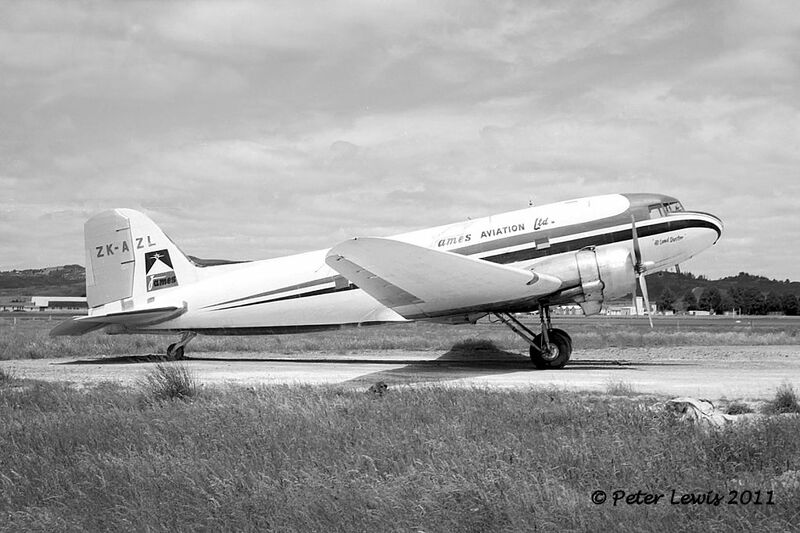 Re-entering service, ZK-BBJ carried out NZ's last DC-3 topdressing sortie from Gisborne 5May1987 flown by Bruce Thompson. 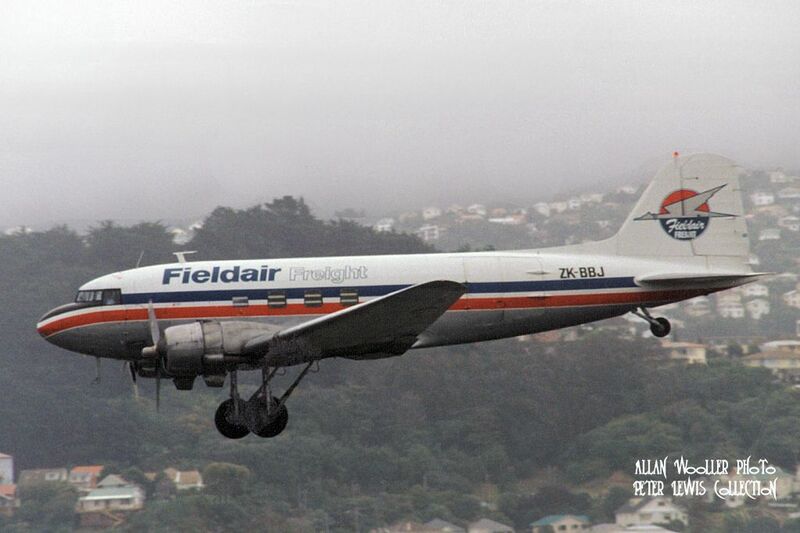 Flown back to Palmerston North, ZK-BBJ was then converted to a freight role, being transferred to Fieldair Freight Ltd. on 18Feb1988 and operating alongside ZK-AWP. 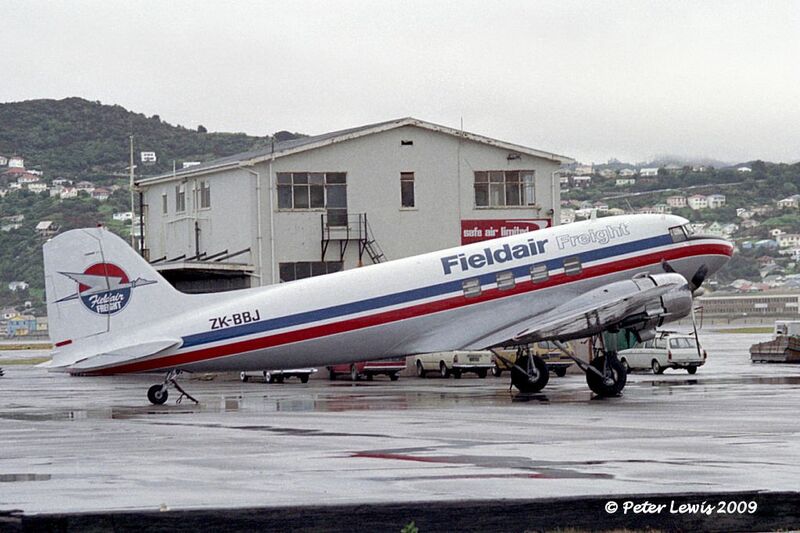 Feildair Freight eventually lost the parcel contract to Airwork, and closed down in 1993. 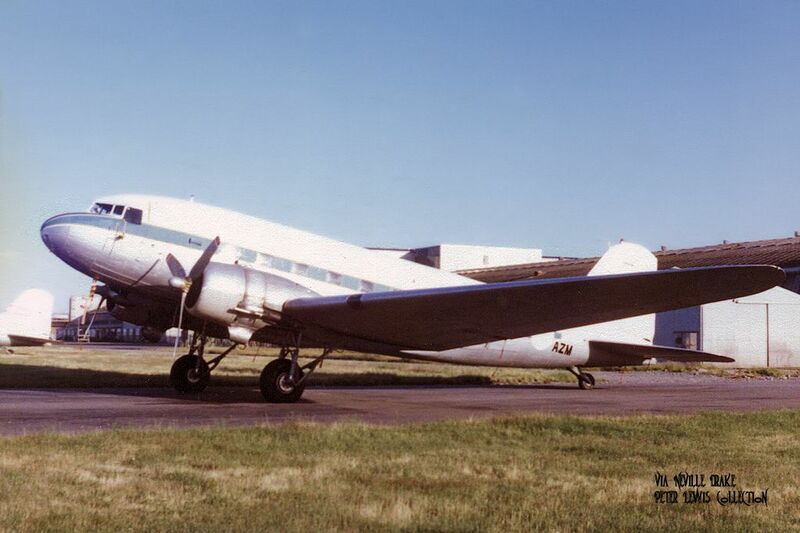 ZK-BBJ was sold to North Shore Helicopters Ltd. of Dairy Flat, Auckland 19Apr1993 and was operated by David Morris of Morris Catering. Morris, who ran a catering business in Auckland, had gained United Nations contracts to supply food to UN personnel in Cambodia. 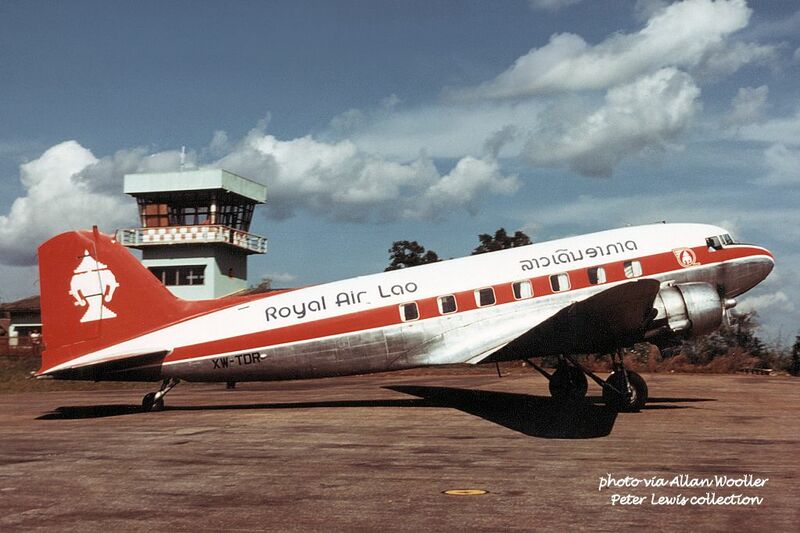 He took ZK-BBJ to Cambodia (along with DC-3 ZK-AMR) for use in fulfilling these contracts. ZK-BBJ departed New Zealand on 21Apr1993. When the Cambodian contract ran out, Morris Catering shifted operations to Africa for similar operations in Kenya and Somalia. The aircraft were parked up at Mombassa airport in Kenya during some sort of a dispute in 1994, and before this could be resolved David Morris was killed. Morris had arrived in war-torn Mogadishu in 1992 with his two sons and an $83 million contract with the United Nations to feed 29,000 peacekeepers. They had won the contract on the back of their successful work for the UN mission in Cambodia. But Somalia quickly turned into a nightmare for the Morris family. First Morris's 21-year-old son, Tyson, was shot dead in a fight with Somali bandits along with two other staff. Then David Morris was kidnapped twice and held for ransom. Shortly before the UN pulled out of Somalia in April 1995 he was captured again and this time murdered, apparently by Islamic militants. 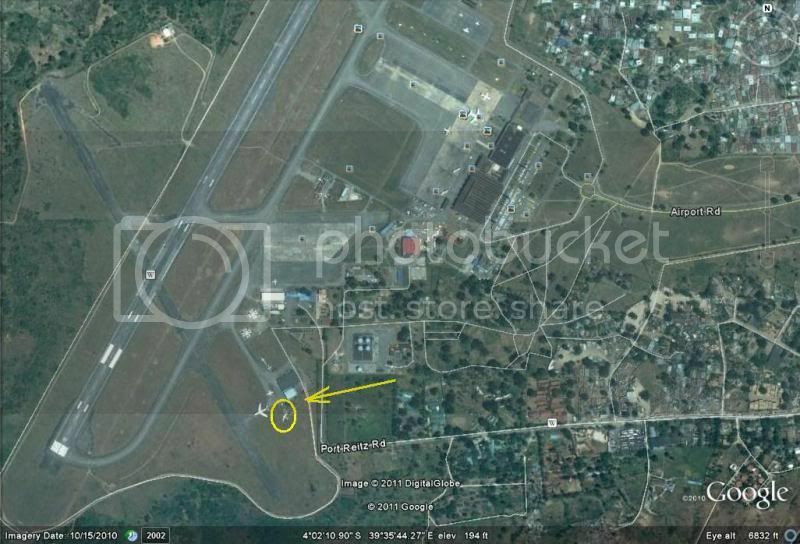 ZK-BBJ never moved again, and is reported as still parked at Mombassa. 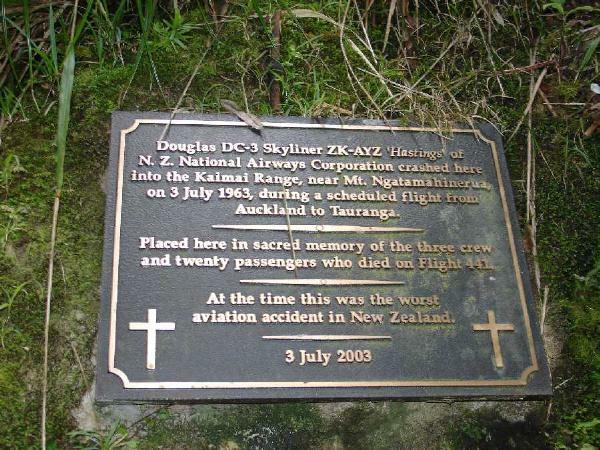 The New Zealand registration was cancelled on 14Sep1994. 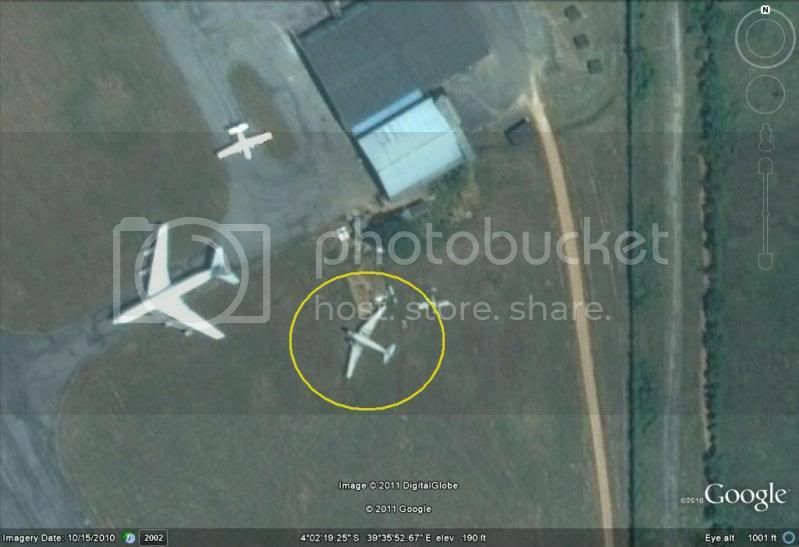 Going by Google Earth it looks like ZK-BBJ was still at Mombassa in October 2010 (going by the imagery date), the DC-3 in the G.E images appears to be missing its starboard engine which ties in with the last photo in flyernzl's post. Immo, etiam id erat demonstrandum. Is that a line from Asterix? Latin. Legacy of a classical education and hallmark of a Gentleman. Hey, Asterix was a classic! Yes, Asterix is a classic and he must have been a gentleman too. 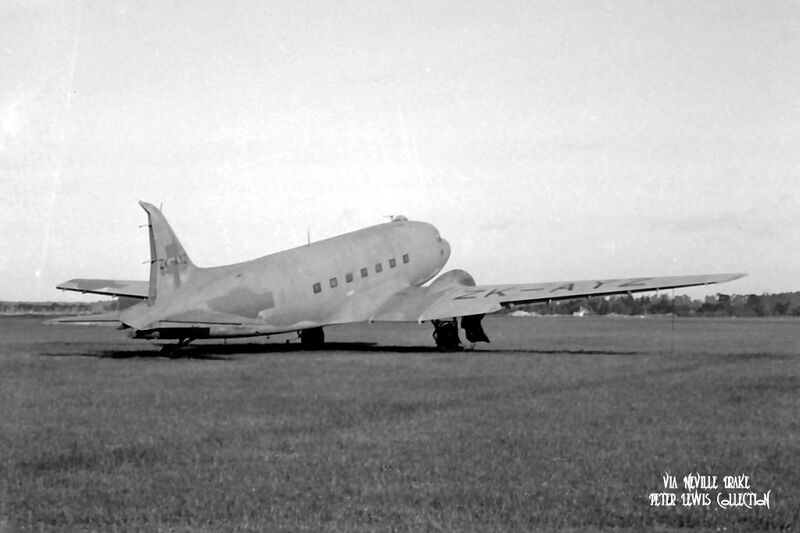 C-47A-20-DK NZ3518 enrolled with the RNZAF on 10Apr1944 but was relegated to instructional airframe duties at Wigram in November 1946, serving there as INST117. 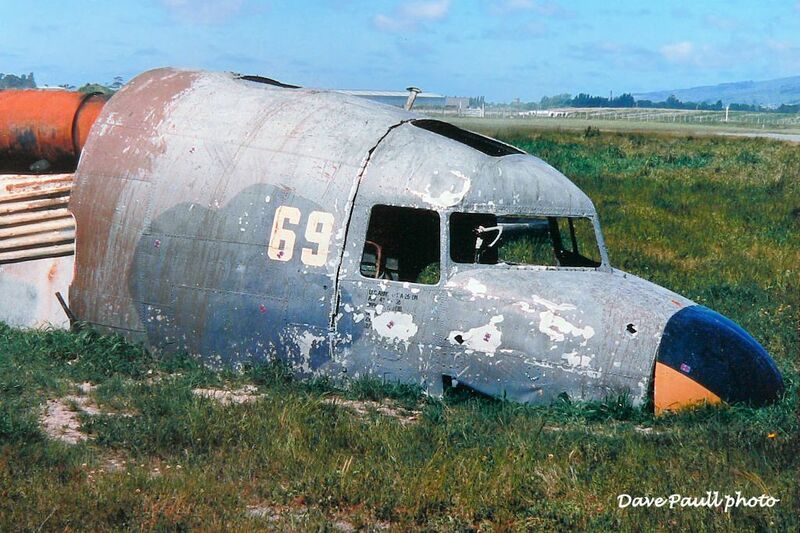 When it was no longer needed in that role the airframe was advertised for sale by tender. NAC bought the airframe (presumably outbidding the scrap merchants) intending to use it as a spares source. 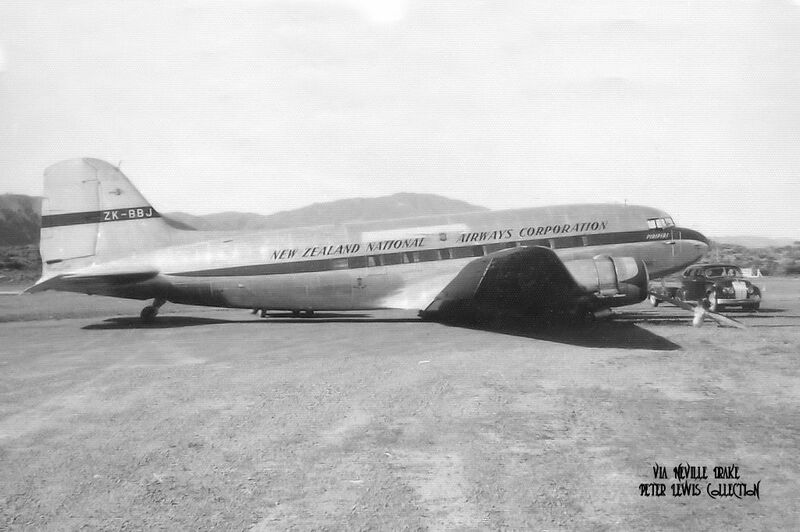 However, after the crash of ZK-AQT at Raumati Beach on 22May1954, NAC decided to use this airframe as a replacement. 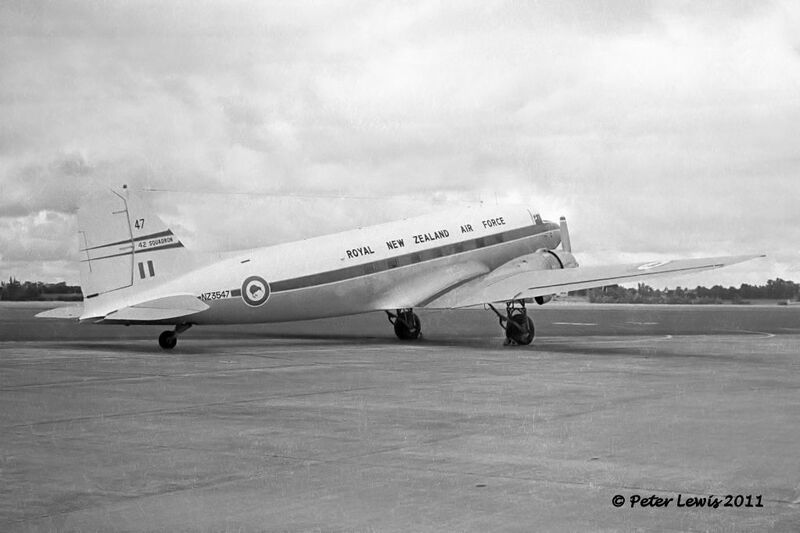 Consequentially, NZ3518 became the only RNZAF C-47A to see civil service. 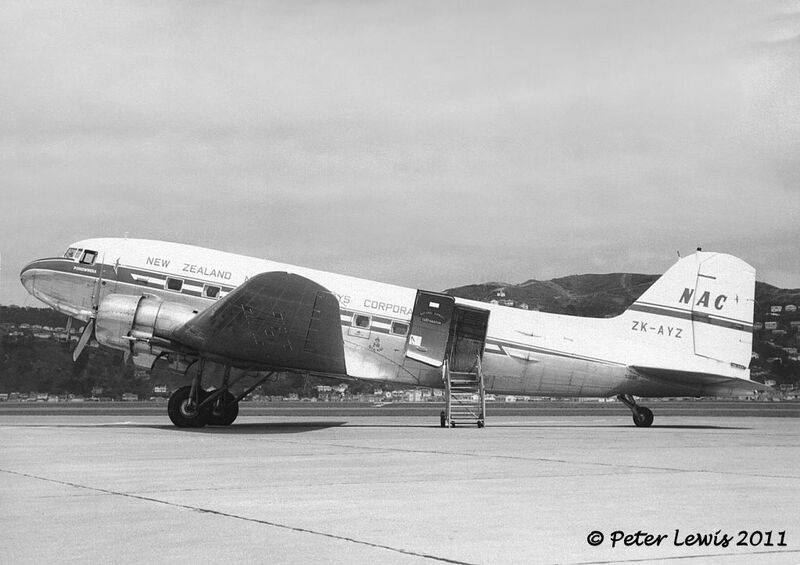 Issued with the registration ZK-BEU in May 1954, it was converted to DC-3C status at Christchurch to become Kuaka. 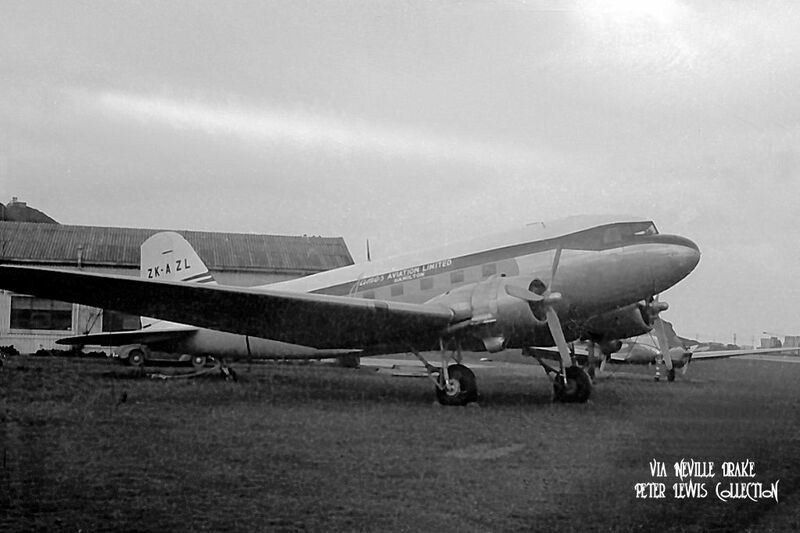 In 1960 the first of the NAC Friendships arrived, and ZK-BXA was to be also named Kuaka, so ZK-BEU was re-christened Kohihi. 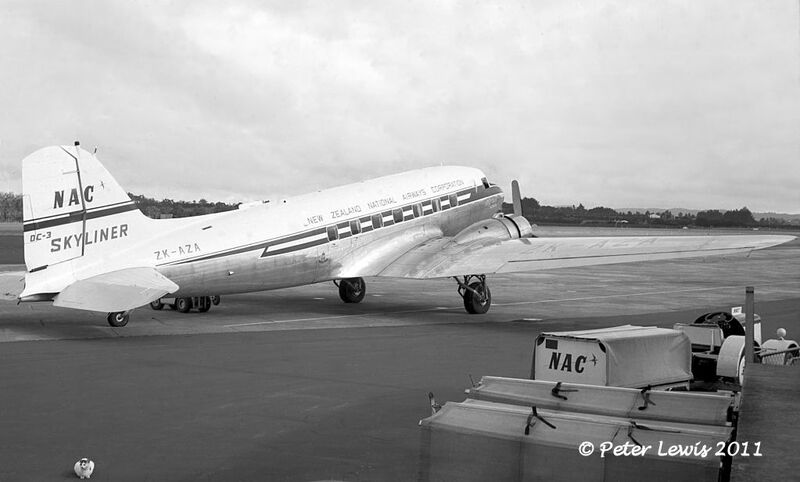 ZK-BEU also passed through the Skyliner upgrade, emerging on 24Jul1964 as Westport. 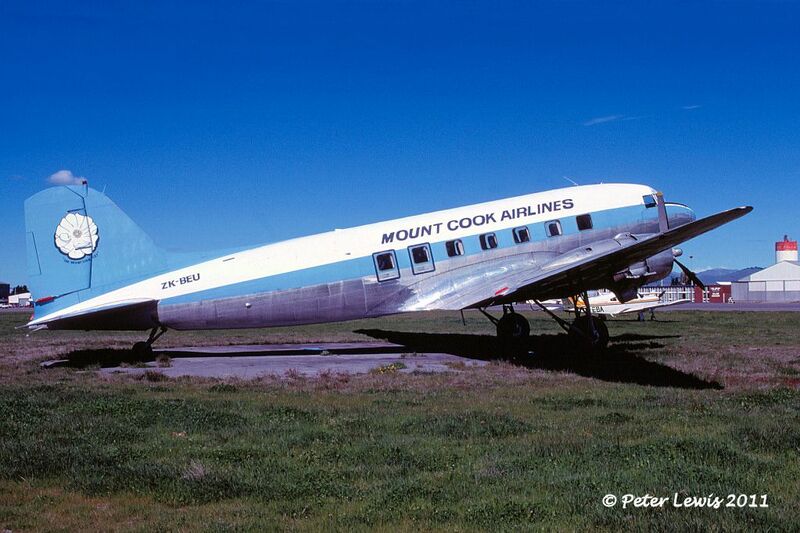 Mt Cook Airlines had been operating DC-3 ZK-BKD since October 1961. 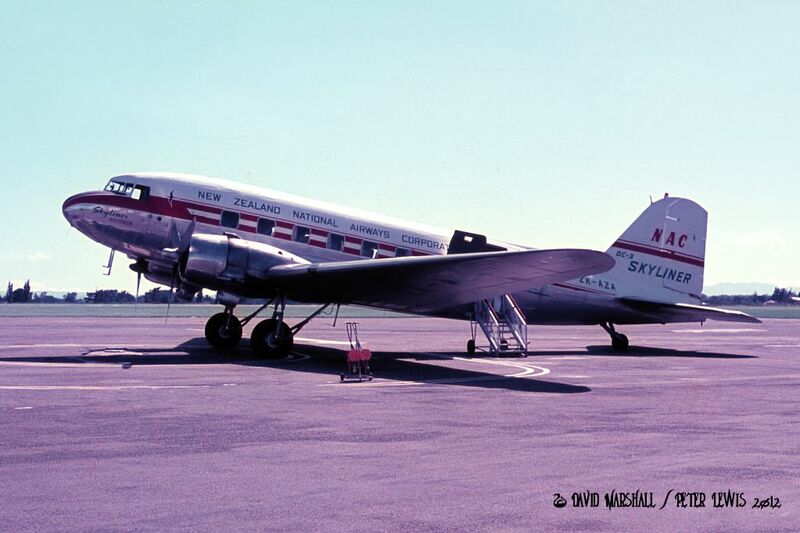 In 1972 they wished to upgrade their operations so swapped ZK-BKD for ZK-BEU, which was registered to Mt Cook Airlines Ltd., Christchurch on 25Jun1970. 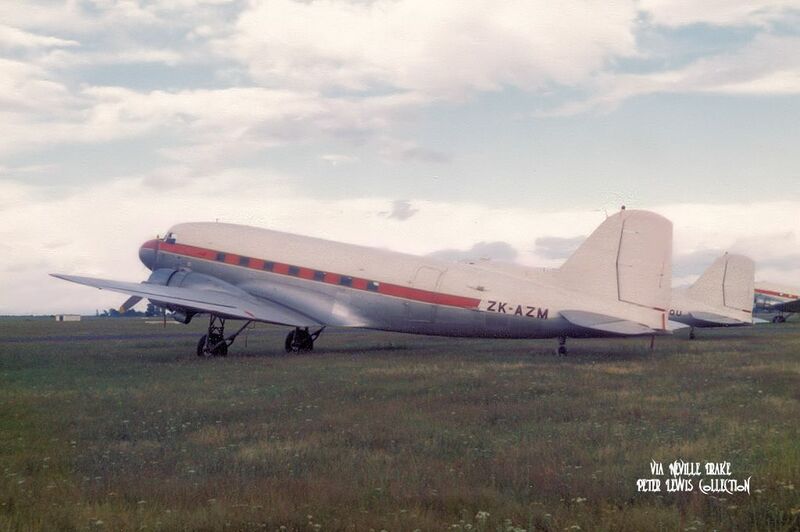 In Mt Cook sevice, ZK-BEU had the distinction of carrying out New Zealand's last 20th century scheduled commercial DC-3 service on 16May1978. (ZK-AWP now runs scheduled services with Air Chathams). In January 1979 ownership was transferred to Alpine Helicopters Ltd. of Queenstown where it served in a live deer carrying role, assisting in the setup of the deer farming industry. As a bit of a pun on its former 'Skyliner' status, it carried the script 'Stagliner' on the nose. 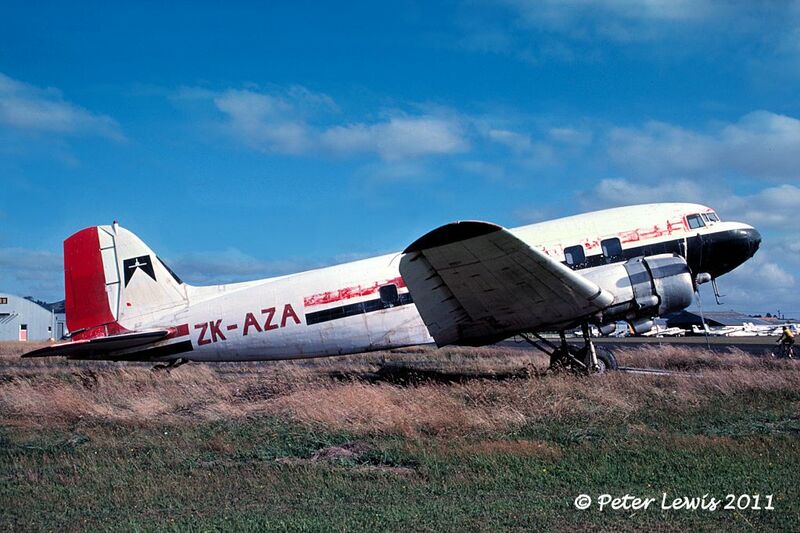 By the time of its last flight on 29Oct1980, ZK-BEU had flown 33,588hrs and was retired at Queenstown. 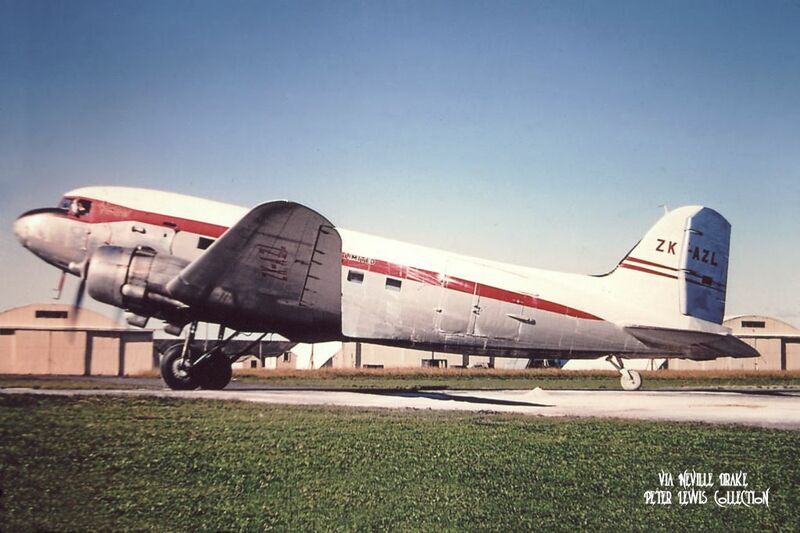 The registration was cancelled on 8Apr1981 and ownership passed to Zephyr Films who used the airframe as a prop in the film "Race to the Yankee Zephyr" in which it featured as a USAAF C-47 carrying the spurious coding I-7689. This role included submersion in Lake Wakatipu. At some later stage it passed into the hands of the owner of the Fridays bar in Colombo Street, Christchurch and became part of the decor at that establishment. 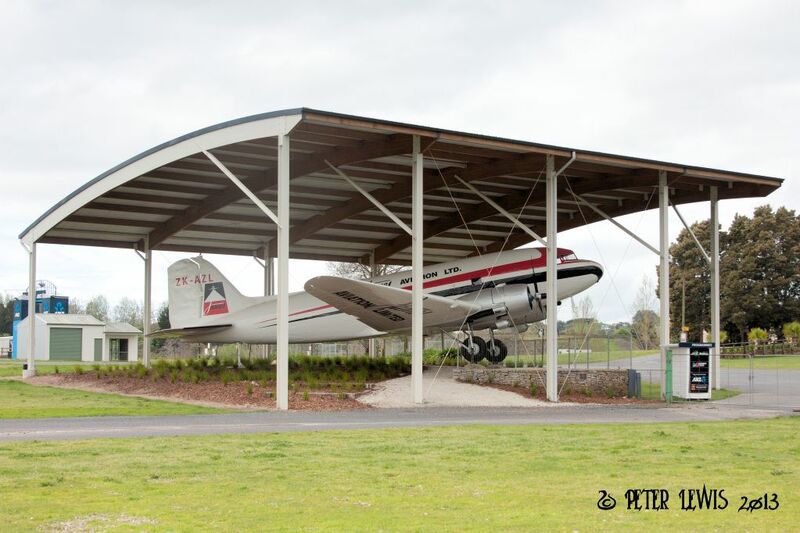 After passing through several renovations of the bar, the building was finally demolished in 2011 as part of the Christchurch earthquake clearances and the nose section of ZK-BEU was rescued for restoration.